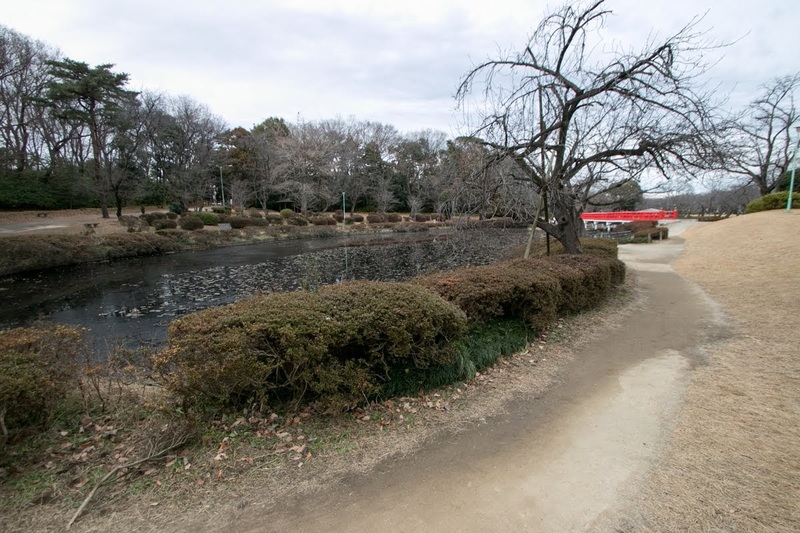 Iwatsuki castle (岩槻城) is located beside of Motoarakawa river, at northwest part of Saitama city. 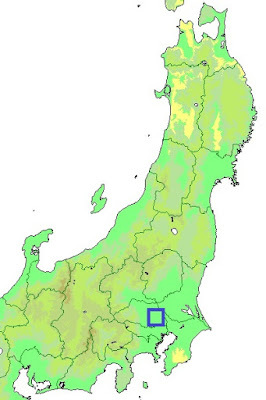 Currently location of this castle is apart from large rivers, but before the anti flood construction at the beginning of 17th century, large rivers such as Arakawa river, Tone-gawa river and Watarase-gawa river flow in paralle at the narrow area along east border of current Saitama prefecture. 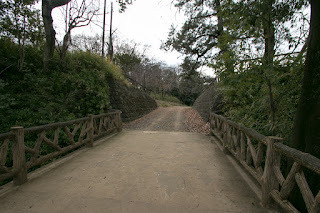 Due to above geographical locations, as a border of southwestern Kanto region and eastern Kanto regon, many castle were built along large rivers in this area, such as Oshi castle, Sekiyado castle or Koga castle in 20km area from this castle. 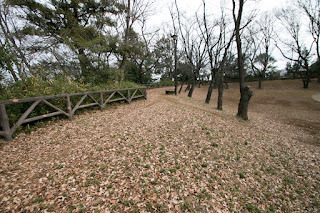 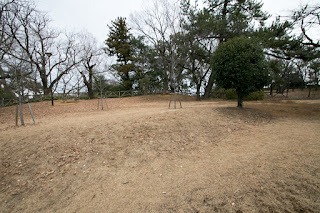 Motoarakawa castle was formerly main stream of Arakawa river, and Iwatsuki castle was built at the small height in marsh on the crooking point of Motoarakawa river. 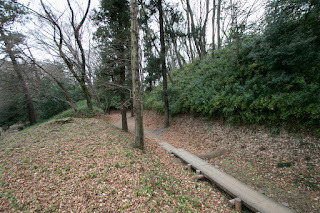 Iwatsuki castle was originally built in 15th century under Uesugi clan, the house of Kanto Kanrei (general governor) and held west half of Kanto region, as a defense line against Koga Kubo (Koga Highness) located opposite of rivers. 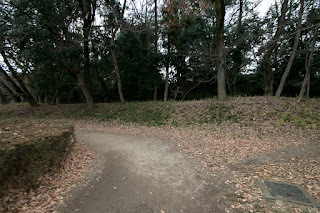 In 1522 the castle was captured by Ota clan, a vassal of Ogigayatsu Uesugi clan and descendant of Dokan Ota (1432-1486), an excellent general and who built Kawagoe castle or Edo castle. 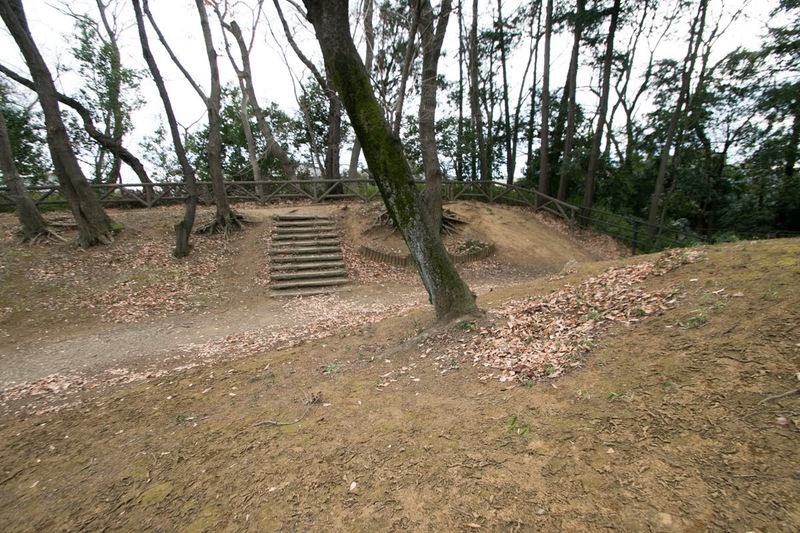 The commander of the castle at the middle of 16th century was Sukemasa Ota (1522-1591, later named Sanrakusai as buddhist name). 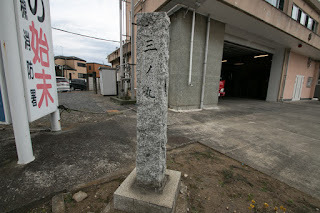 a great grandchild of Dokan. Since the beginning of 16th century, Hojo clan, a warlord of Sagami province (Kanagawa prefecture) gradually expanded their territory from southward. 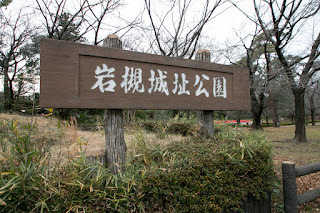 In response to this, Uesugi clan and Koga Kubo allied and attacked Hojo clan at Kawagoe castle in 1545, but due to the counter attack of Hojo clan, next year this ally caused fatal defeat and Tomosada Uesugi (1525-1546), master of Sukemasa, died in the battle. 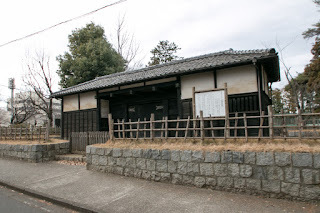 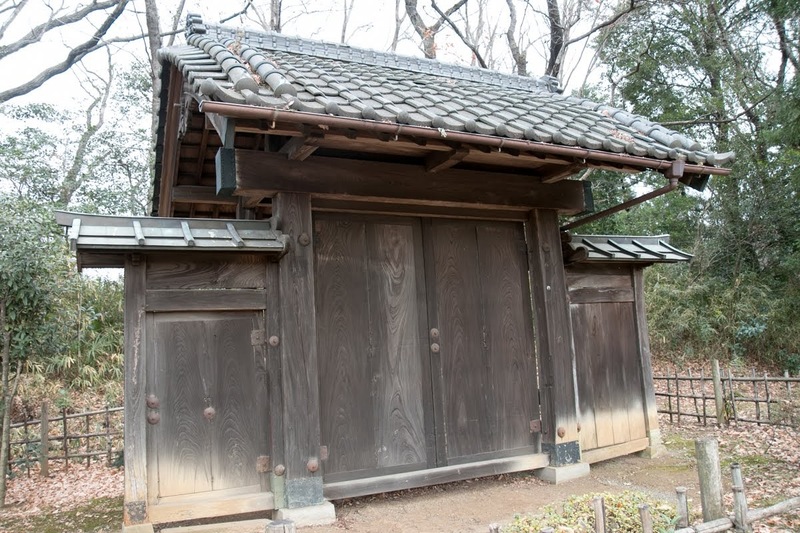 Once Sukemasa belonged to Hojo clan, but when Kenshin Uesugi (1530-1578), a warlord of Echigo country (Niigata prefecture) who succeeded Kanto Kanrei position, made expedition to Kanto region in 1560, Sukemasa left Hojo clan and supported Kenshin. Kenshin once captured most of Kanto region, but once he returned Hojo clan started their rally and gradually expand their territory again. Among many surrounding lords surrender to Hojo clan, Sukemasa did not change his position and stand for his castle with small soldiers. It is said that Sukemasa used military dog organizedly for the first time in Japan, as a communication method to Matsuyama castle, a branch castle of this castle. 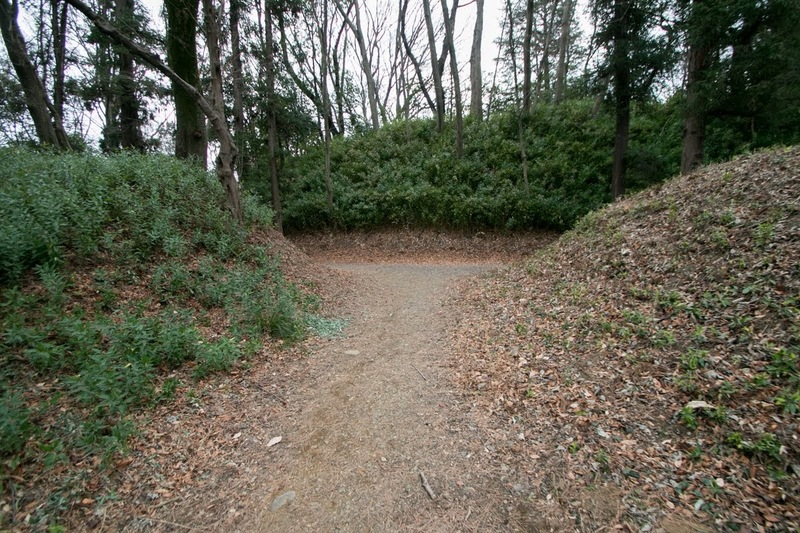 But Hojyo clan captured Matsuyama castle in 1563, and anti Hojo army including Sukemasa was defeated at the battle of Kokufuai before Hojo clan in 1564. 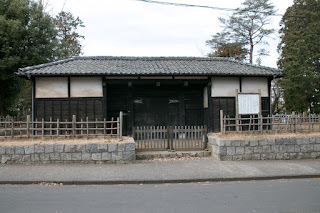 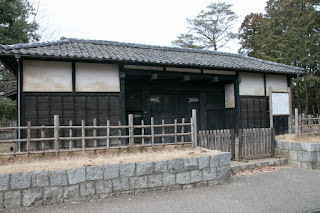 Under worsening situation Sukemasa visited Satomi clan, a warlord of Awa province (Boso peninsula), but during absence his son Ujisuke Ota (1542-1567) betrayed and opened Iwatsuki castle to Hojyo clan. 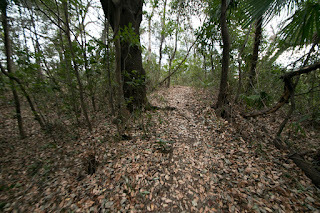 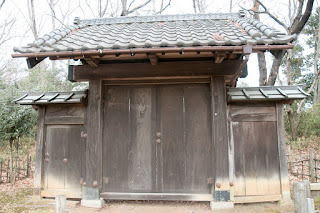 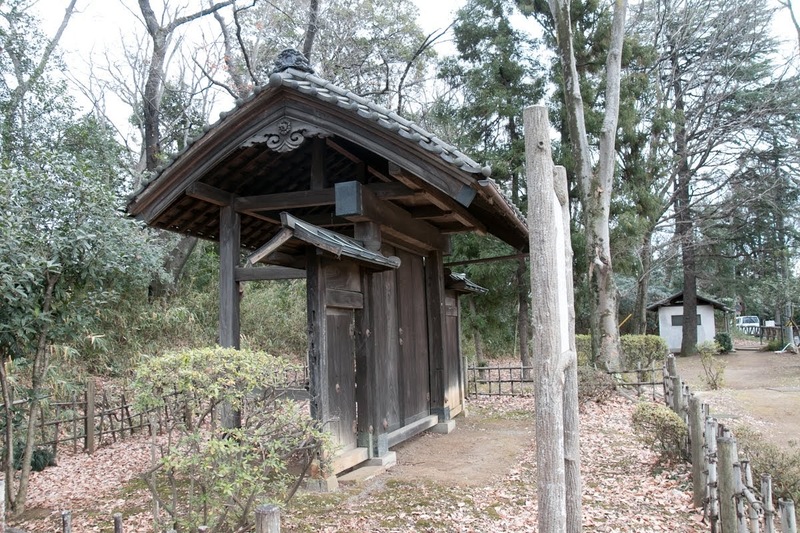 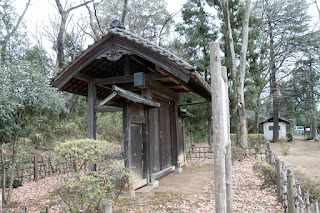 Sukemawa was expelled from castle and his wife and other sons were imprisoned. If Sukemasa was ordinary general, lost everything he might have surrendered or retired, but he did not lose his fighting spirit. 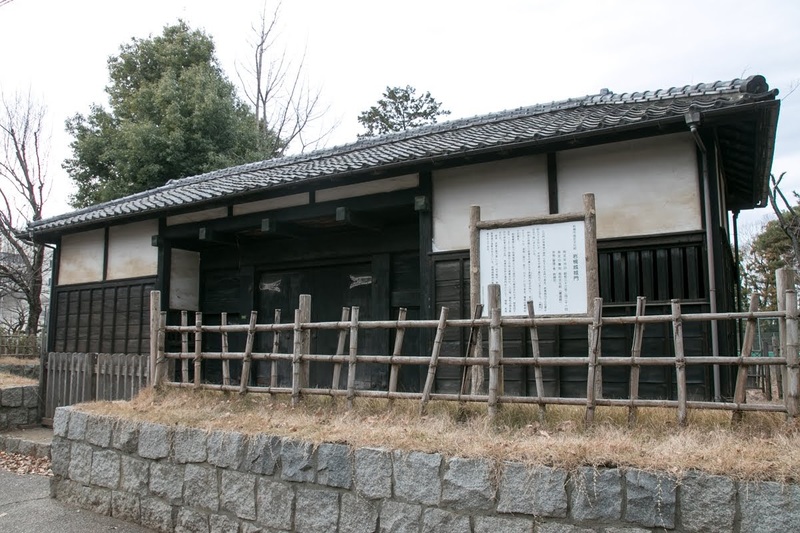 He was hired by Satake clan, a warlord of Hitachi province (Ibaraki prefecture) and center of anti Hojyo movement, and was placed at Katano castle at the south of Tsukuba mountain. 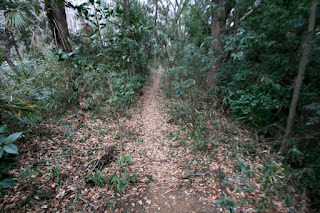 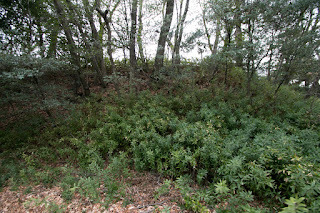 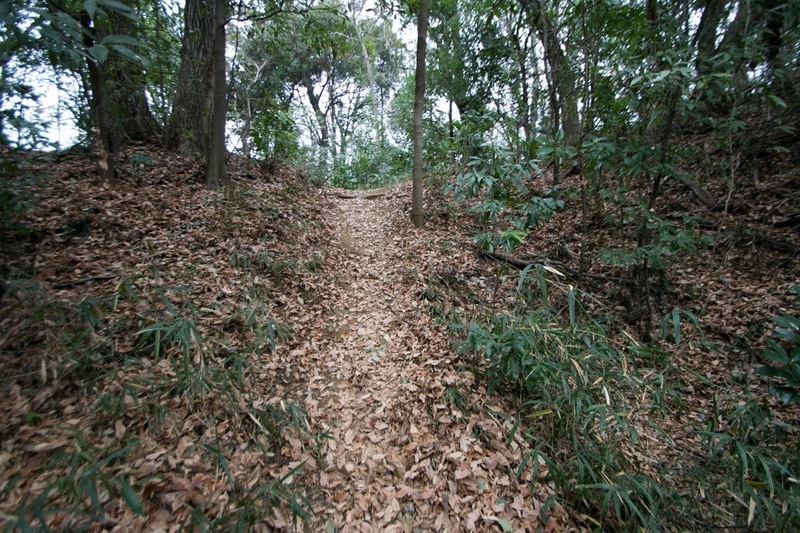 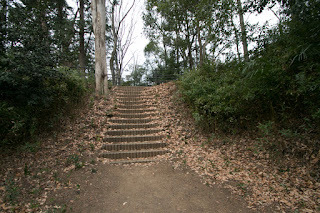 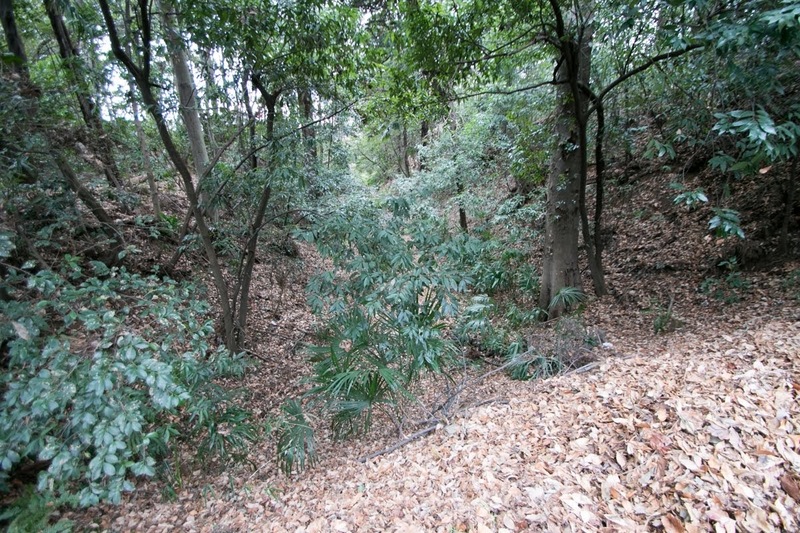 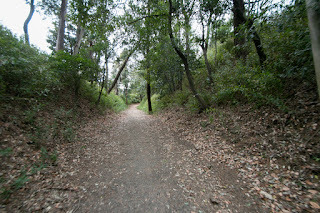 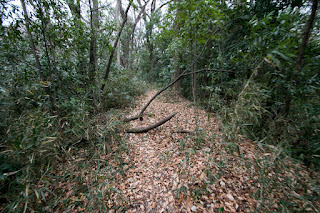 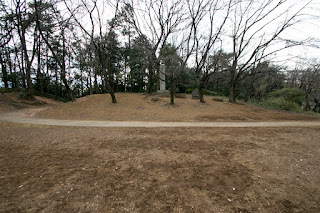 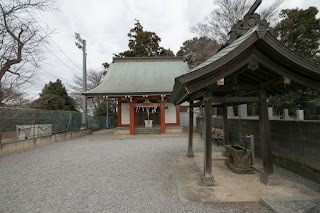 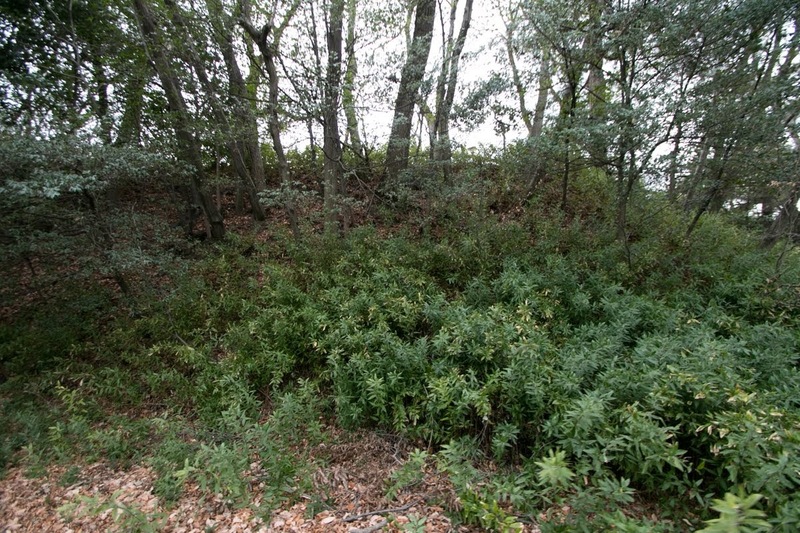 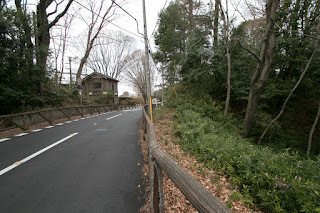 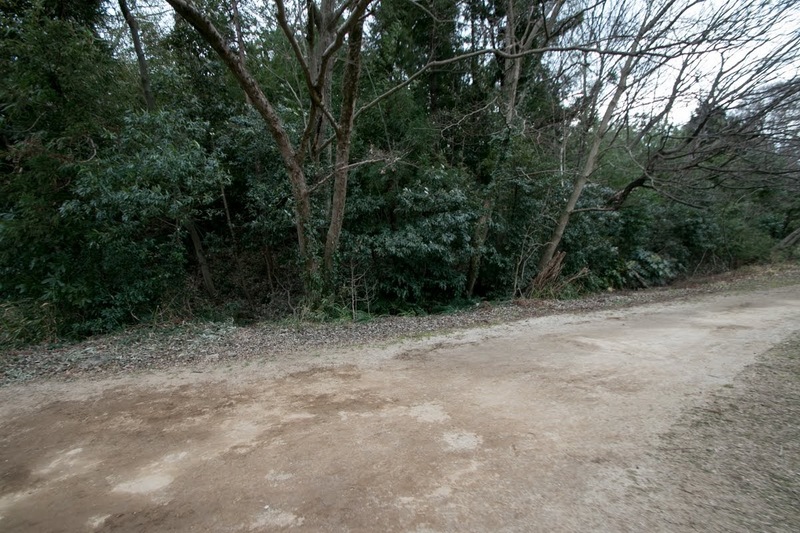 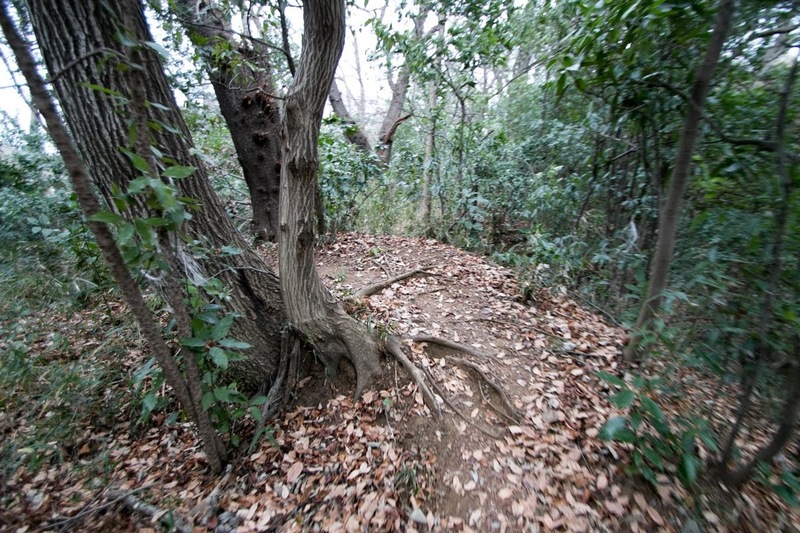 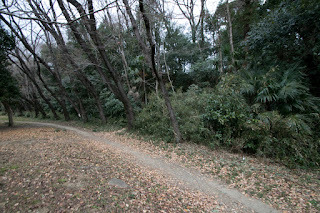 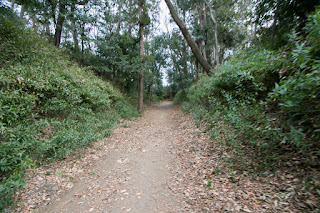 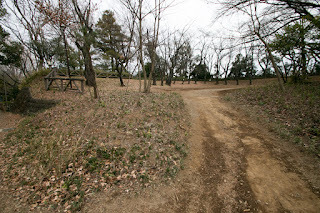 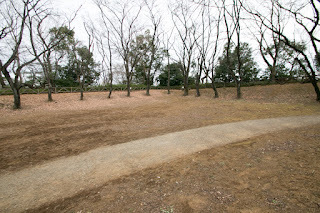 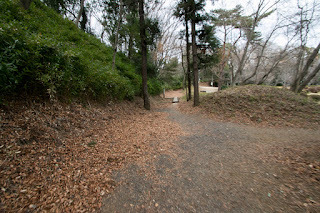 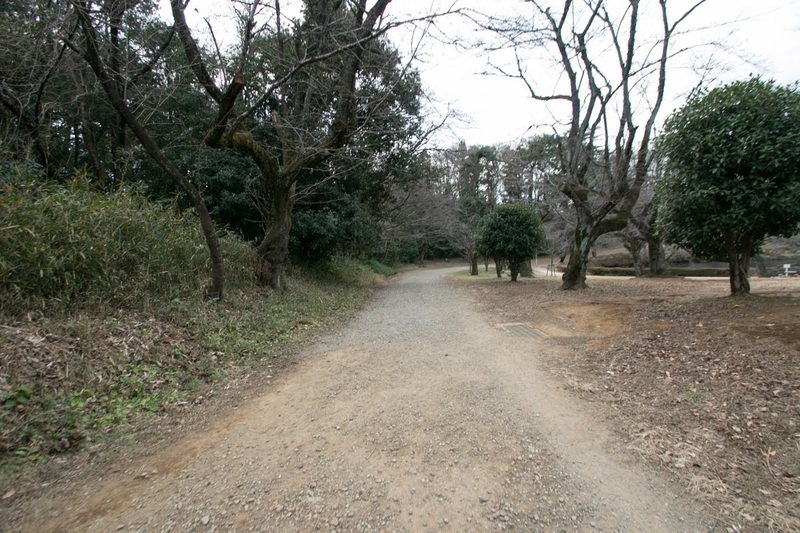 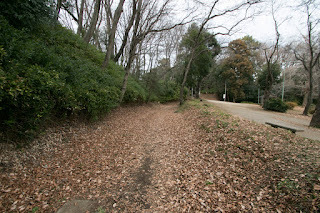 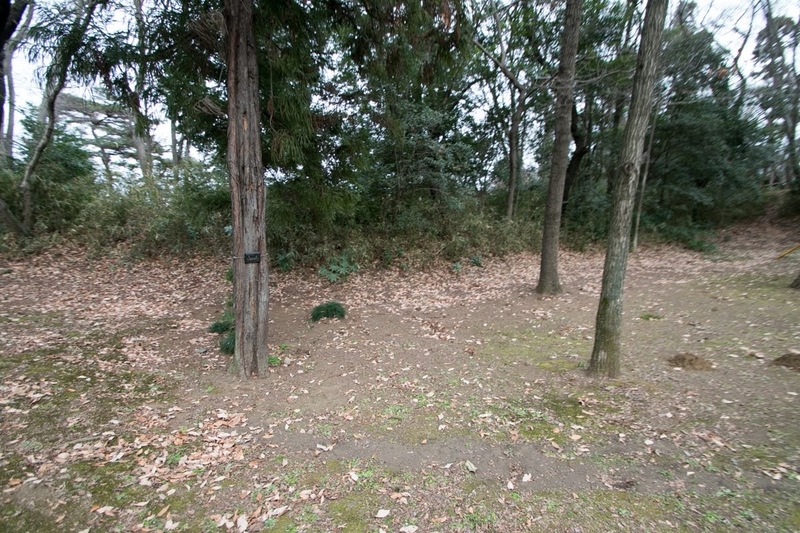 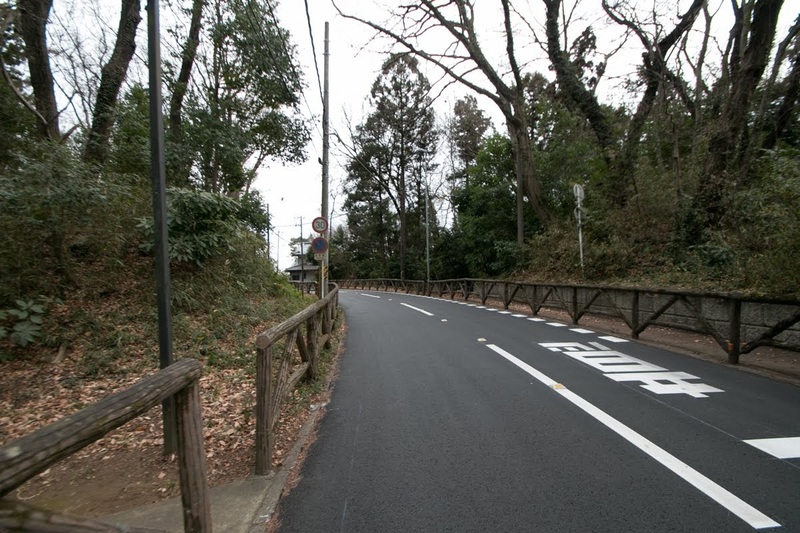 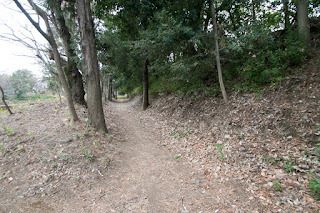 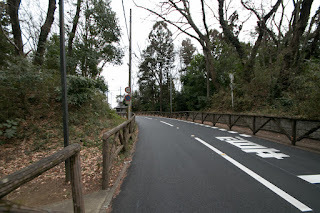 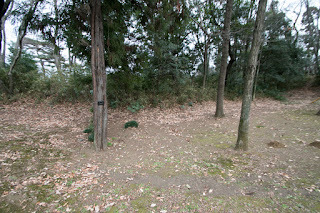 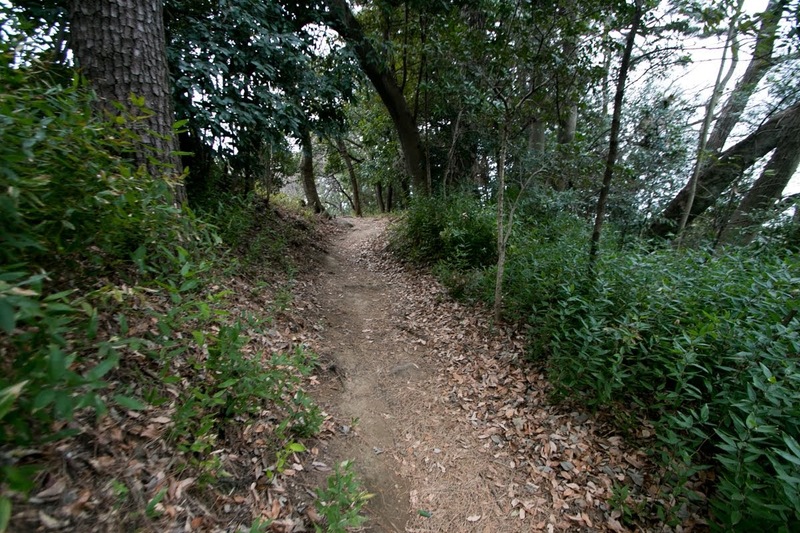 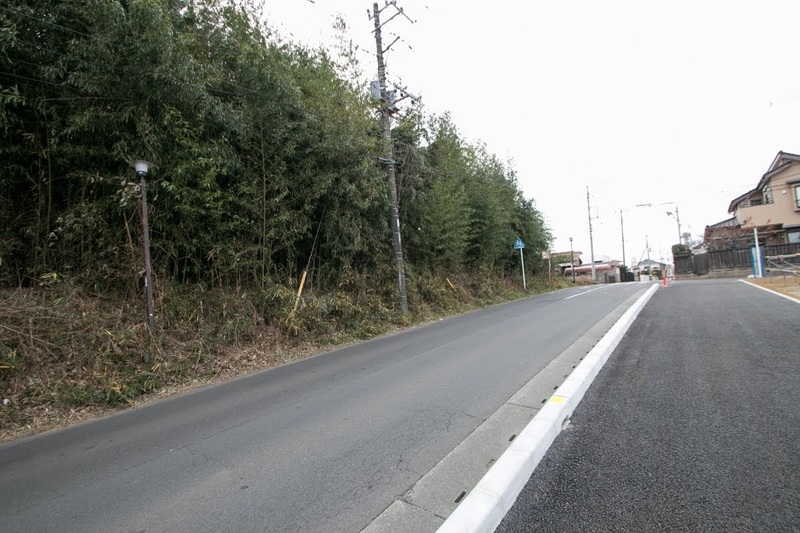 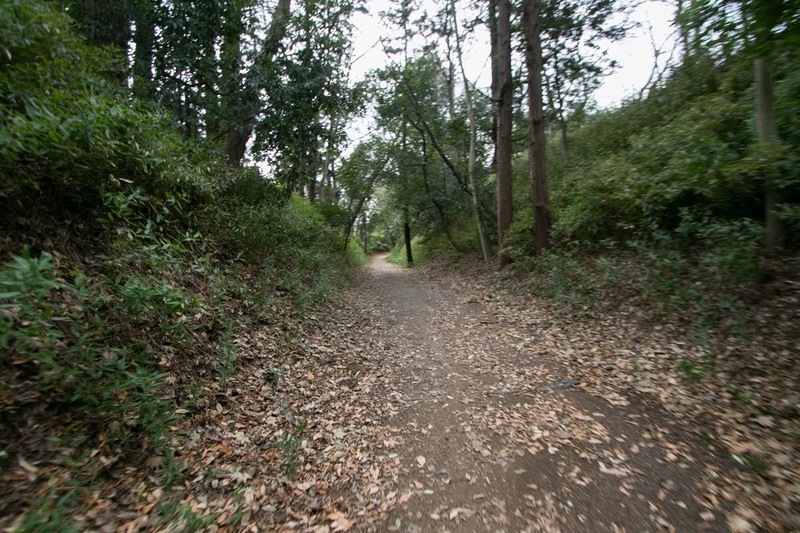 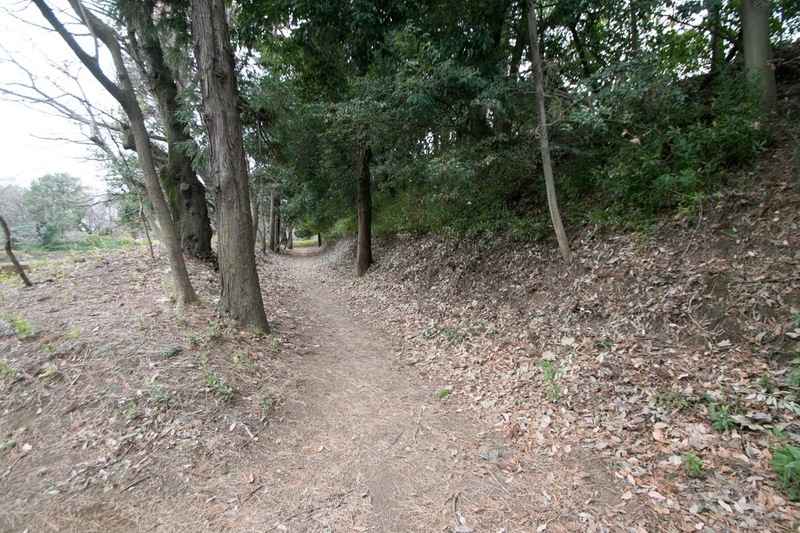 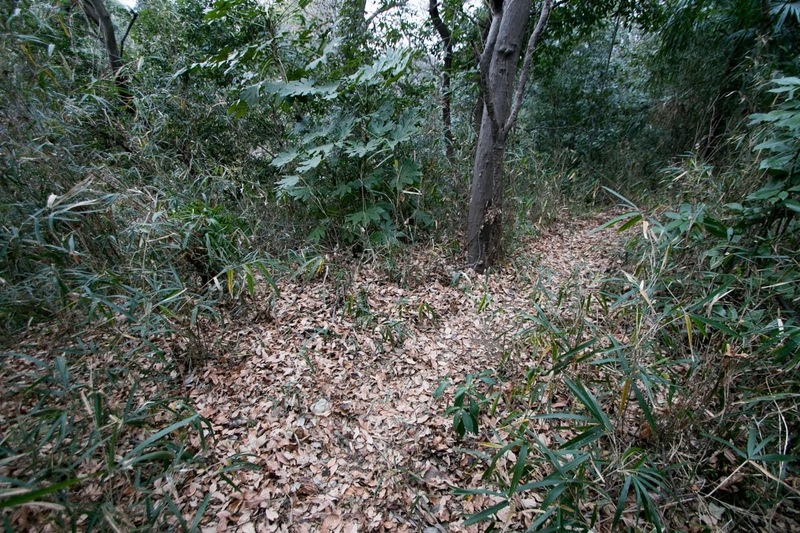 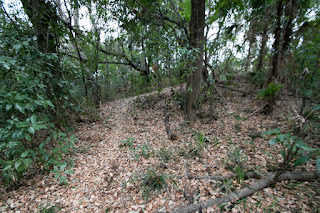 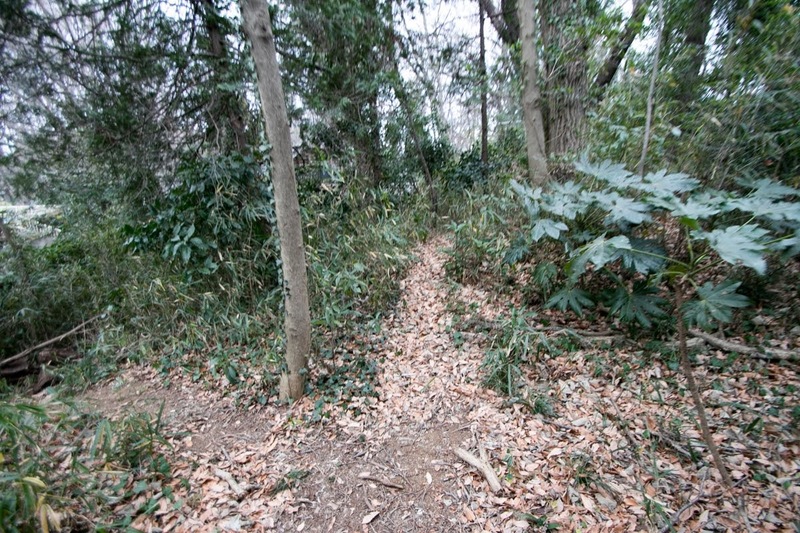 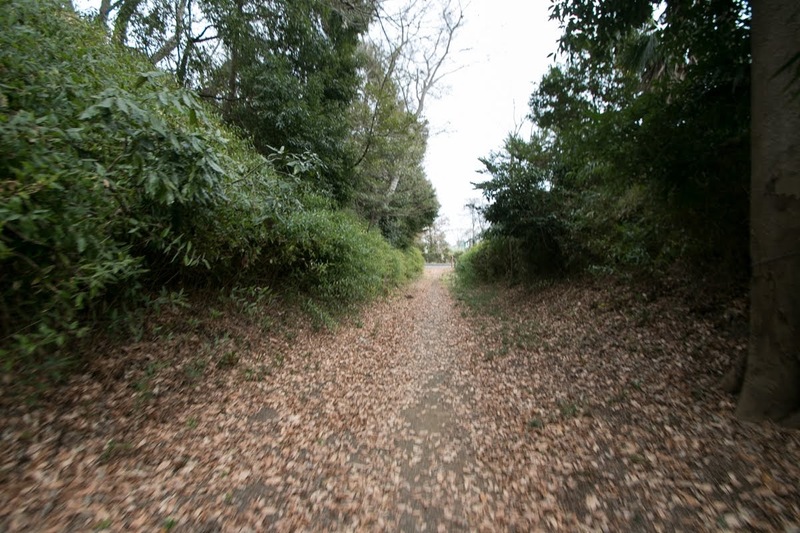 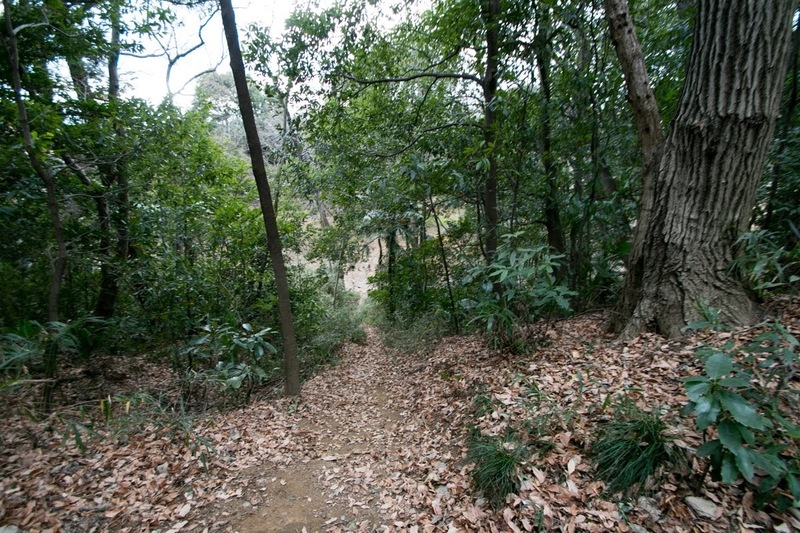 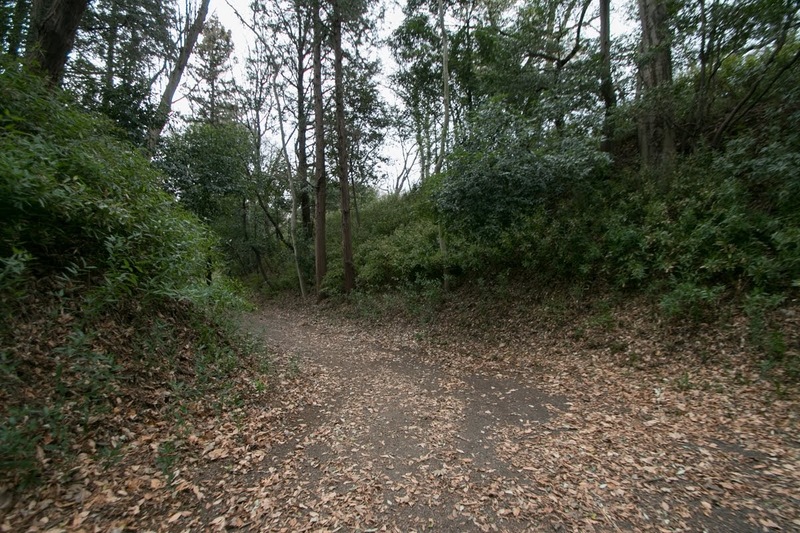 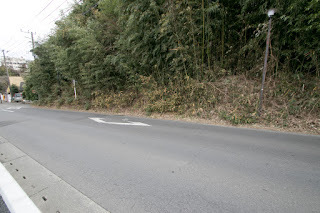 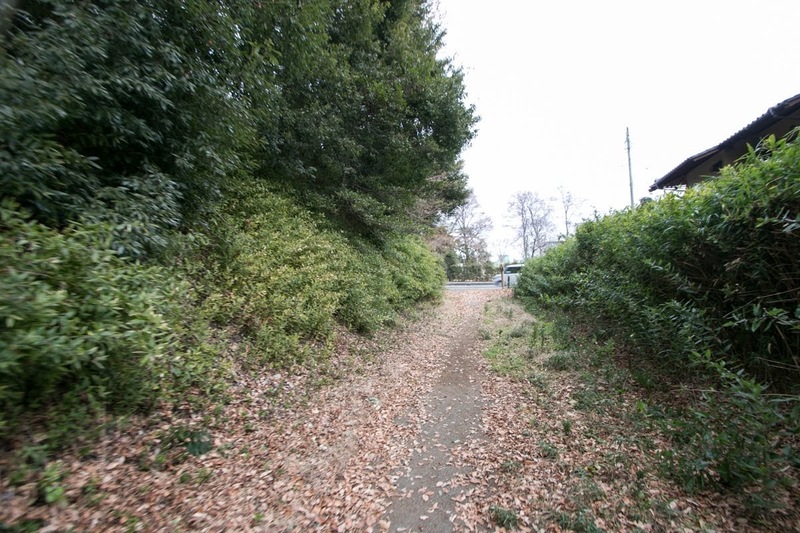 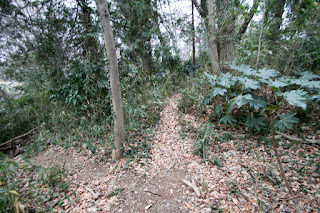 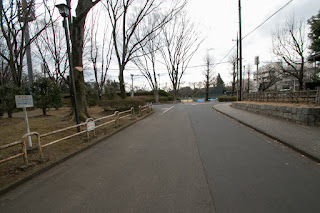 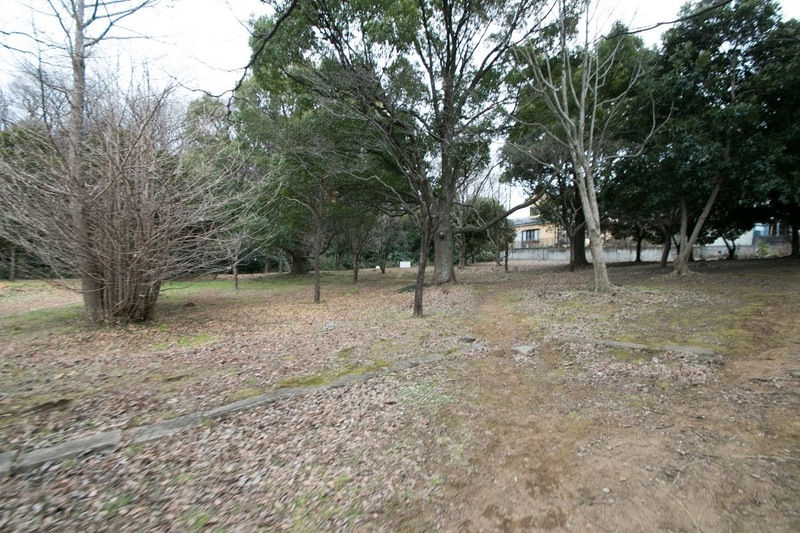 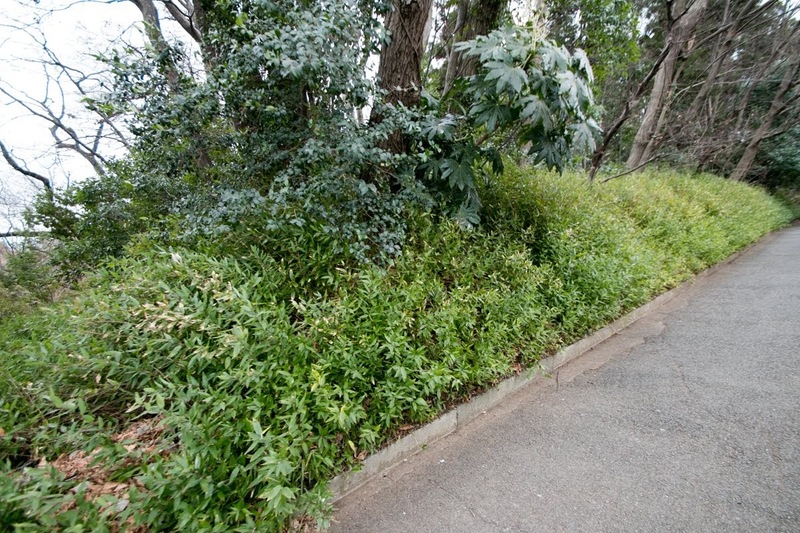 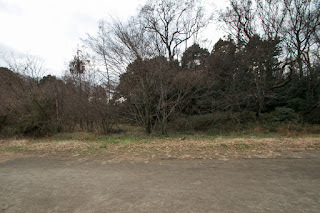 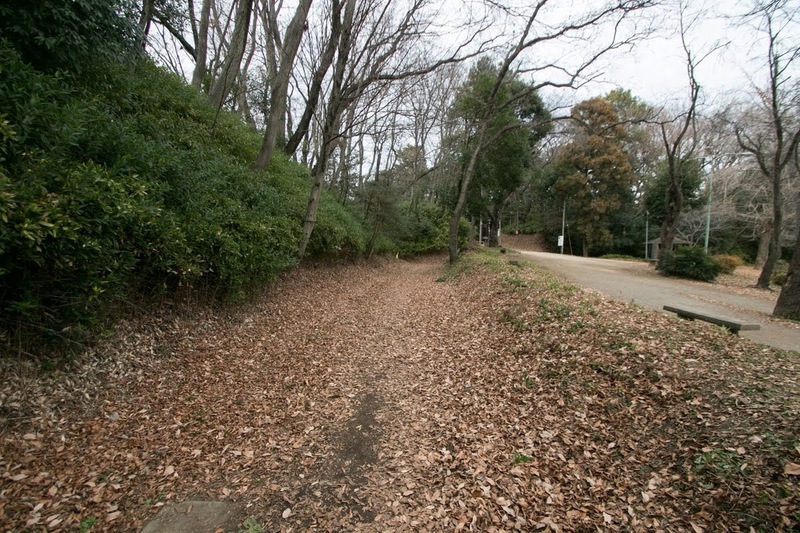 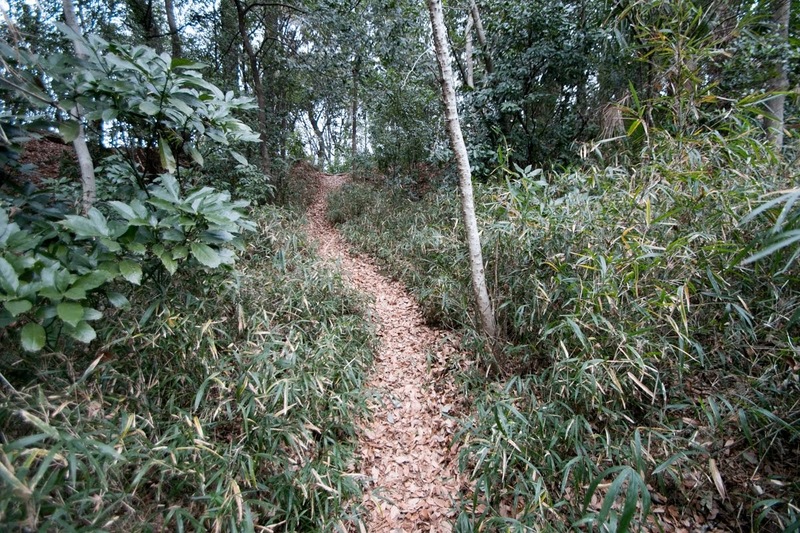 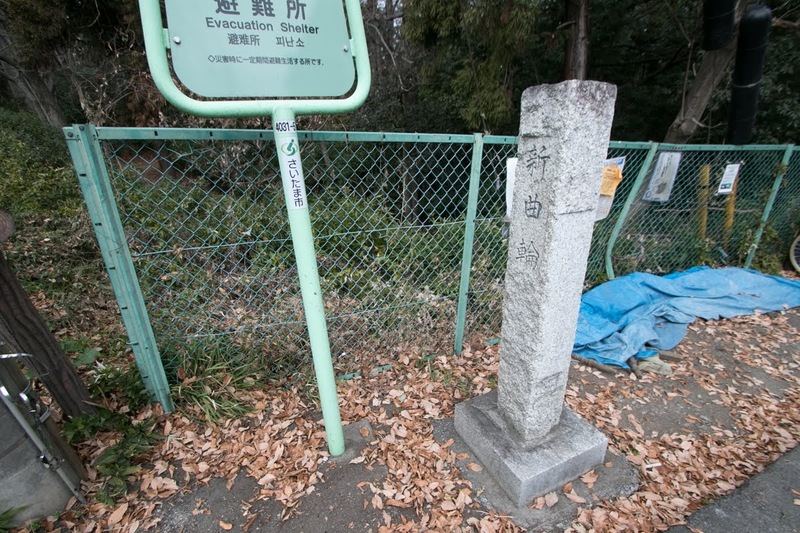 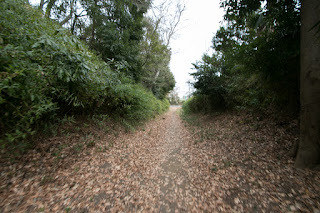 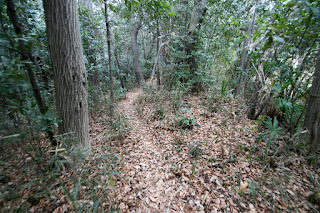 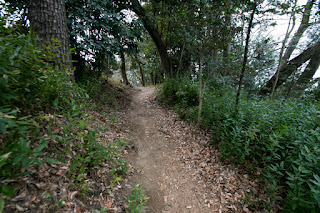 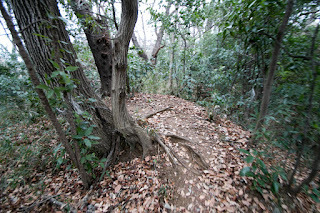 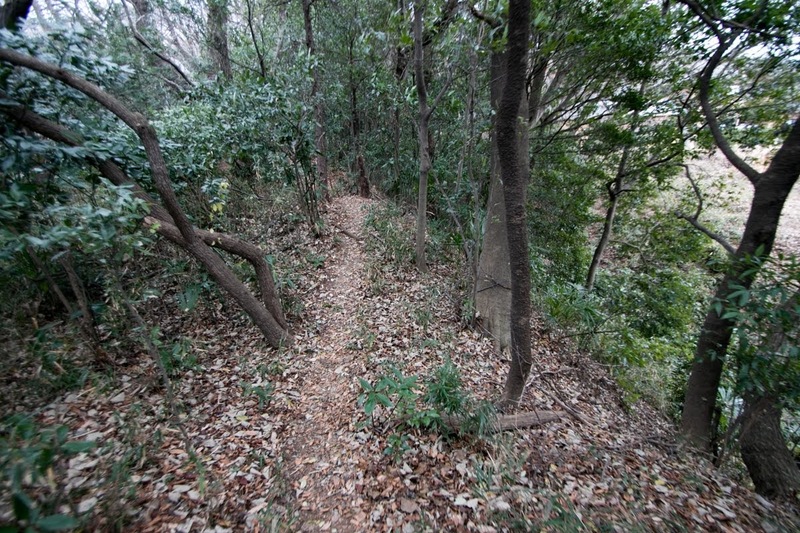 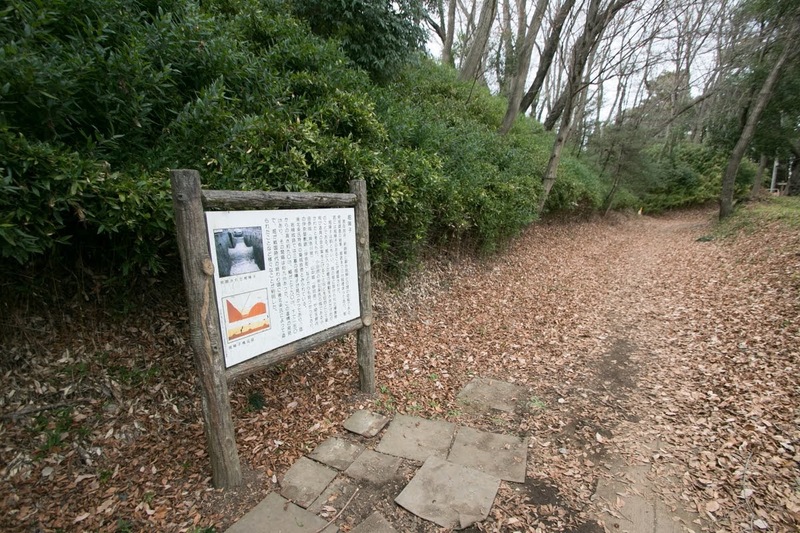 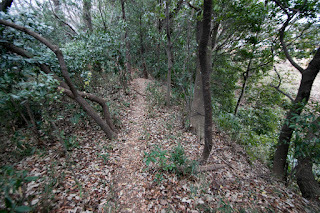 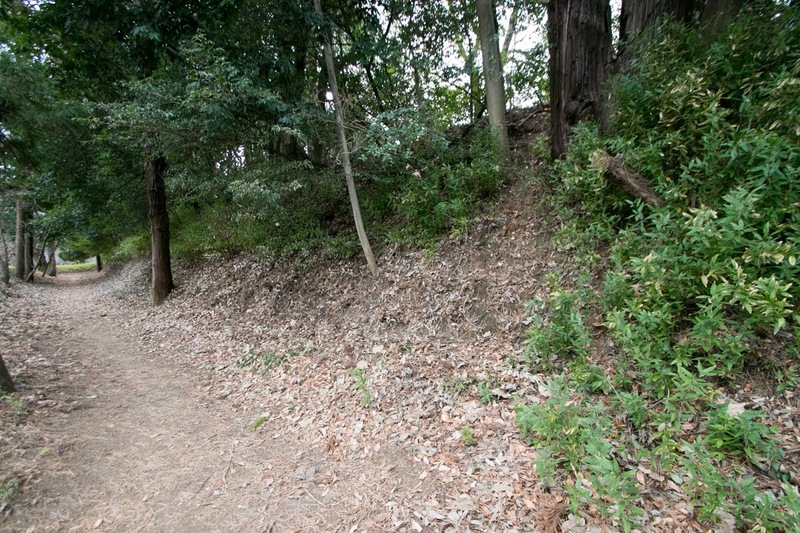 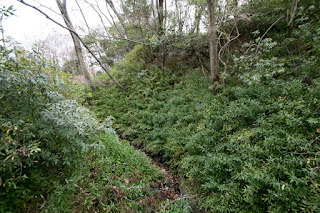 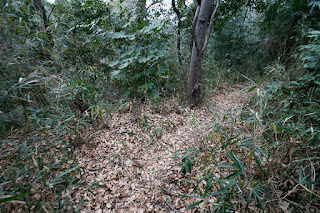 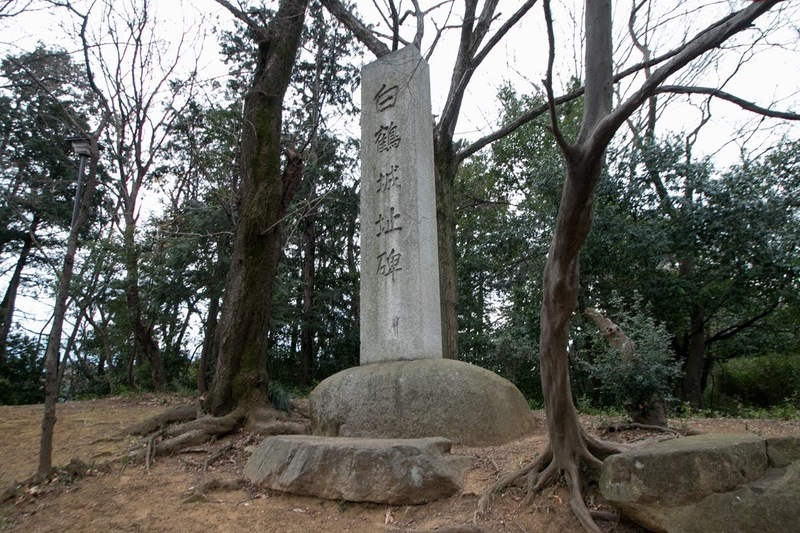 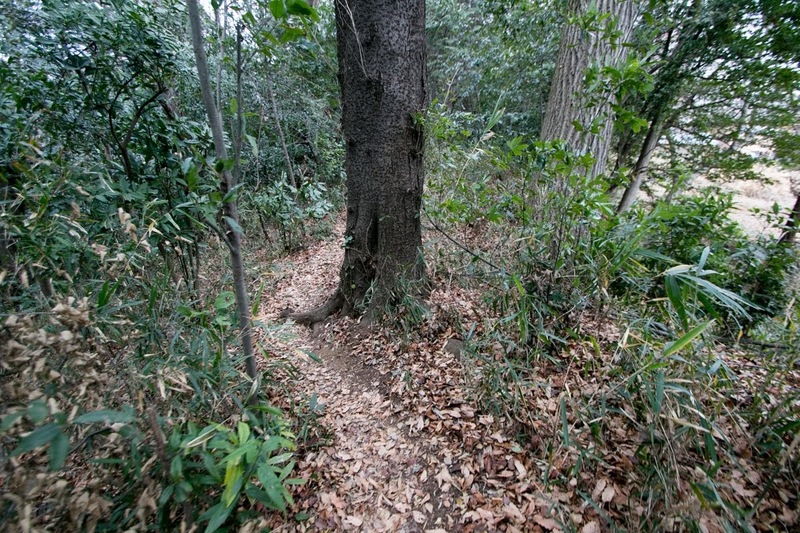 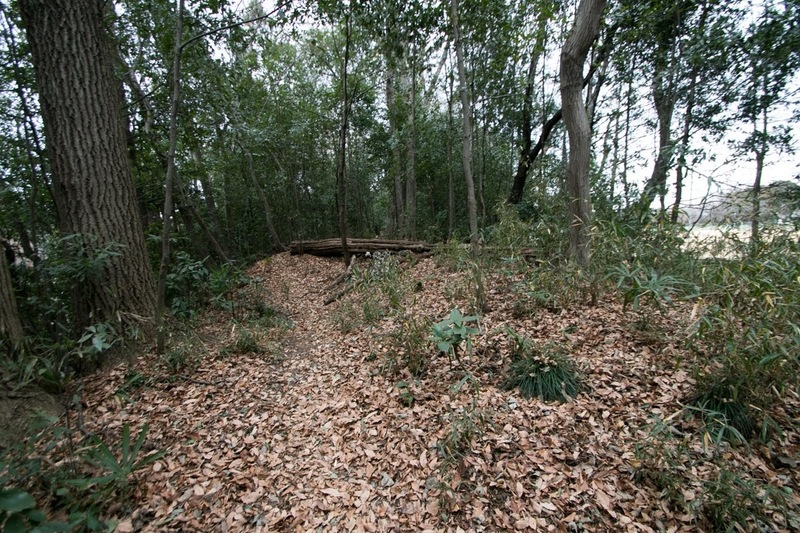 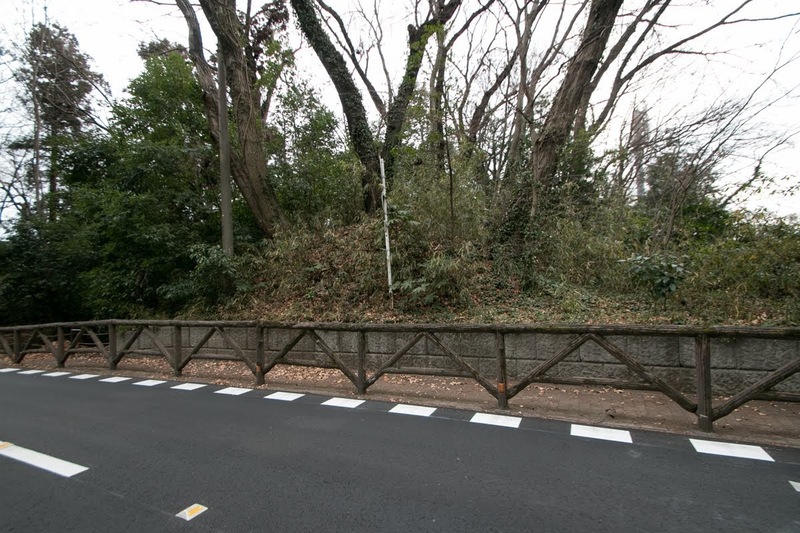 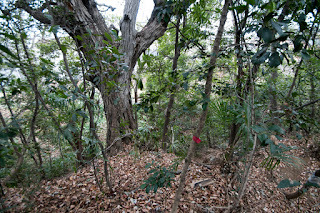 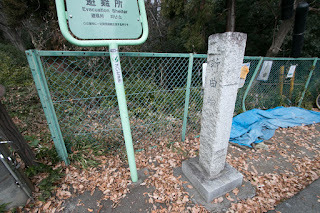 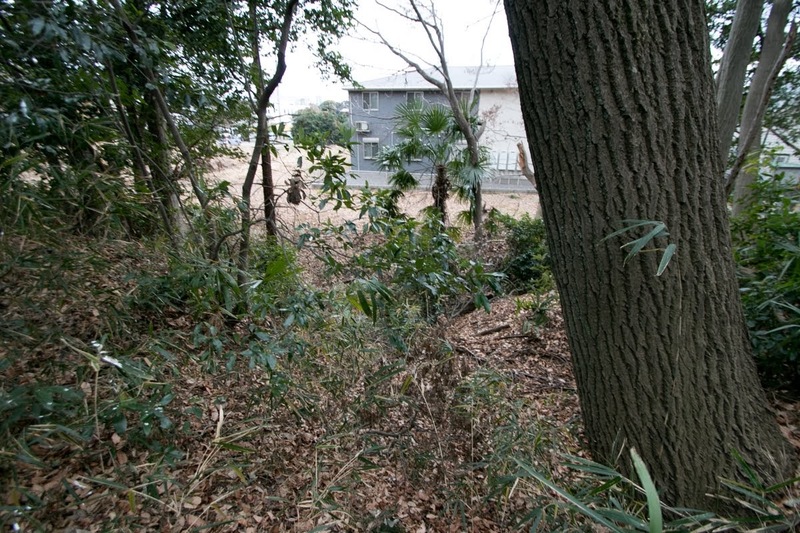 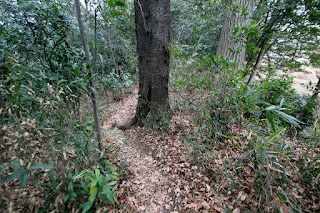 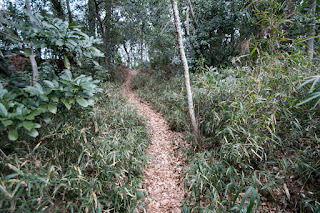 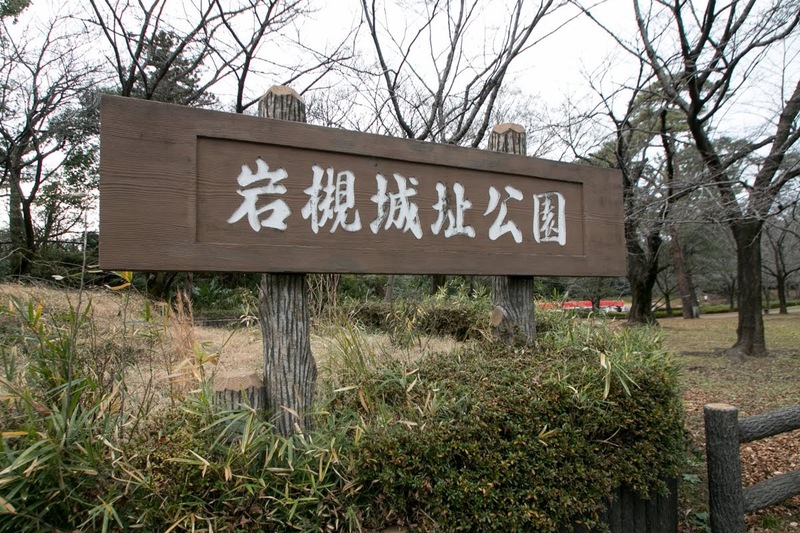 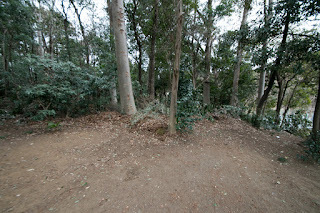 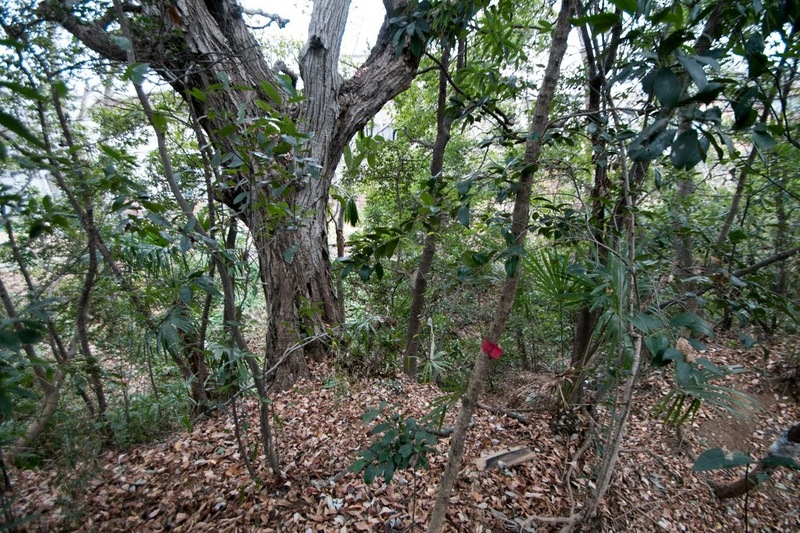 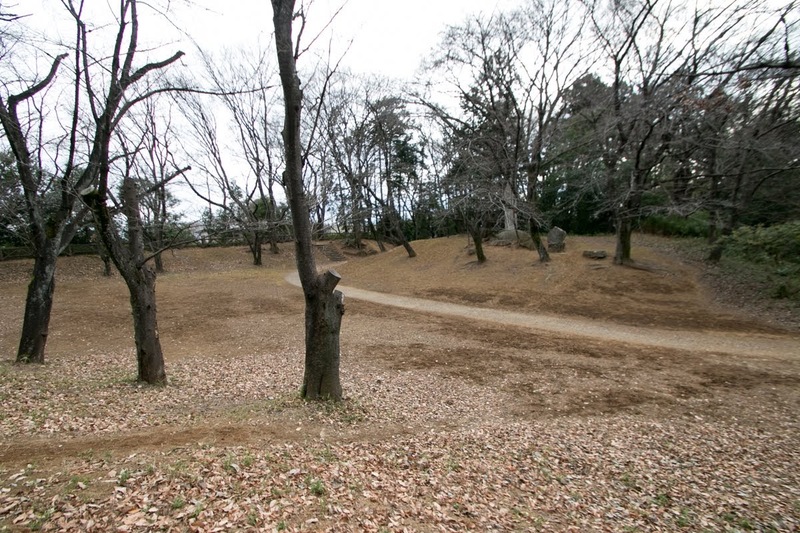 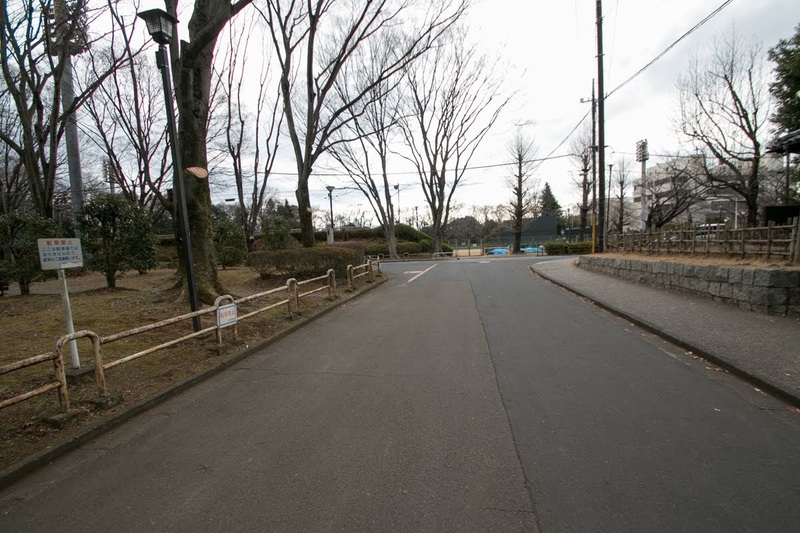 South of Tsukuba mountain was important entrance into Satake territory, and Satake clan conflicted for this area with Oda clan (different from Oda clan of Nobunaga Oda) which was close to Hojo clan. 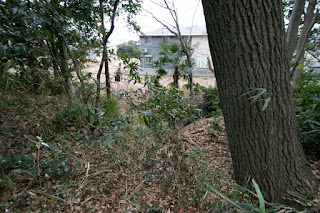 Sukemasa continued fighting far distant from his old place. In 1569 he captured Oda castle, residence of Oda clan by sudden attack, and four years later he also seized Tsuchiura castle, an important plcce of communication at the lakeside of Lake Kasumigaura. However, Ujiharu Oda (1535-1602), leader of Oda clan at the time, also had a mind of never give up and had persistently attempted recovery of Oda castle for long time. They fought for Oda castle until 1590, when Hojyo clan was extinguished by Hideyoshi Toyotomi (1537-1598), the ruler of central area. 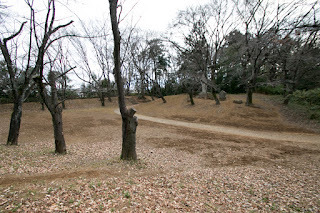 After the extinction of Hojyo clan in 1590, Sukemasa was praised as the most excellent general in Eastern Japan by Hideyoshi, but he could not reture to Iwatsuki castle after the resistance of nearly 50 years. One thing for relief of Sukemasa was he could see the end of Hojo clan while he lived. 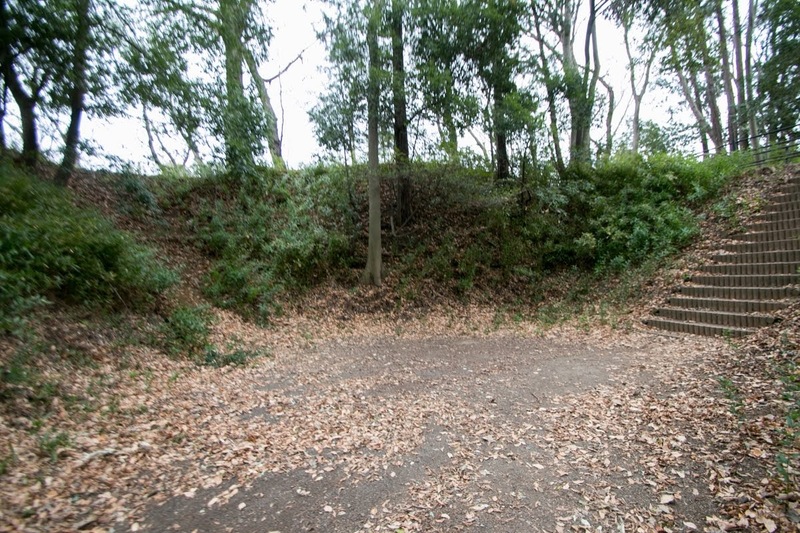 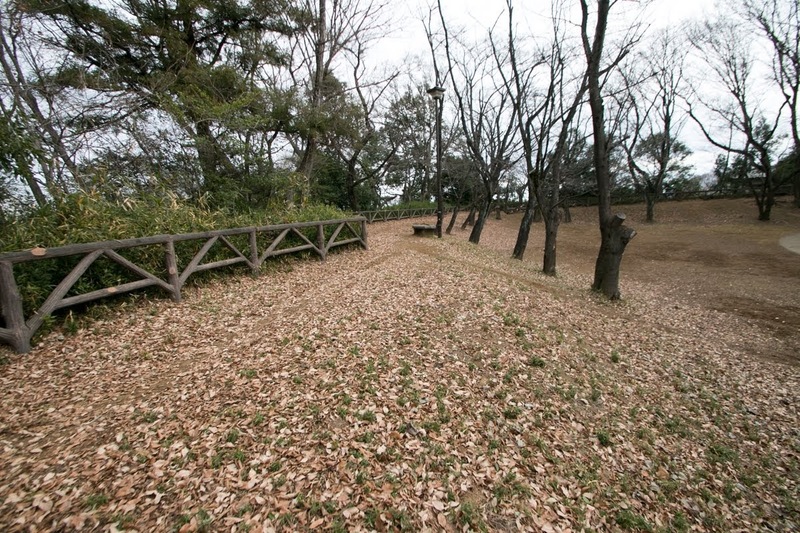 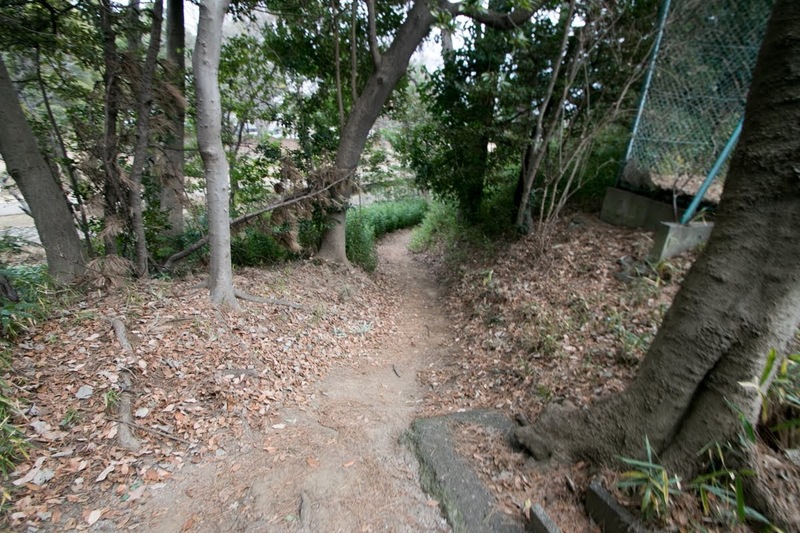 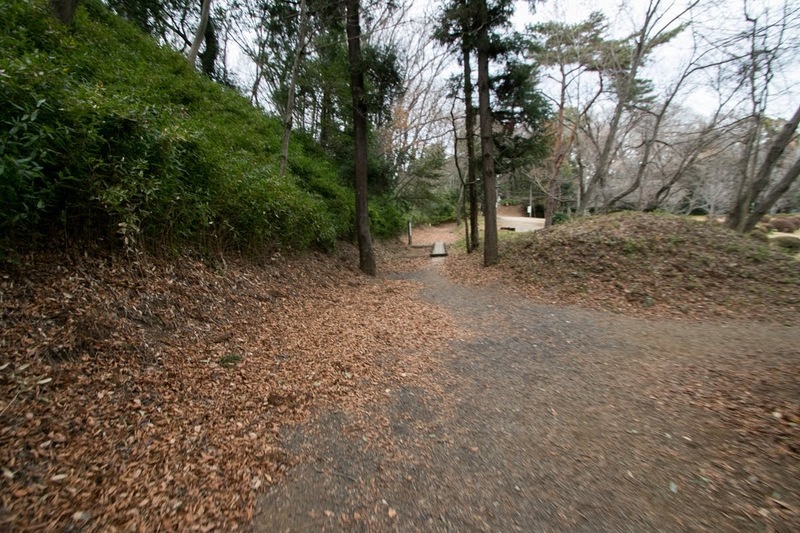 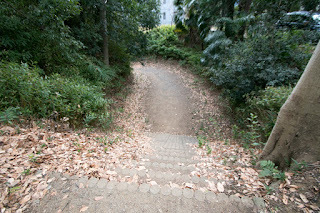 After the leave of Sukemasa, Iwatsuki castle was once held by Ujisuke, but he died in the battle of Mifuneyama in 1567. 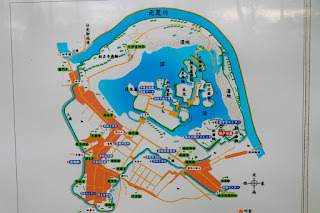 Utilizing this incident Hojo clan requisite Iwatsuki castle and expanded as an important defense point of Musashi province (Tokyo metropolis and Saitama prefecture). 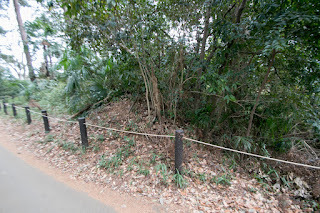 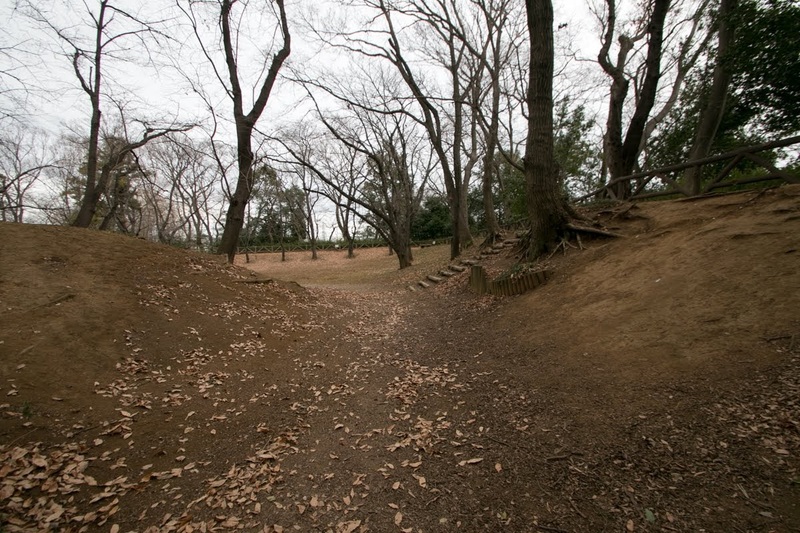 Outer barrier surrounding castle and castle town was built, and at the southeast of central areas outer areas with huge sand wall and deep moats were built as a stating point. 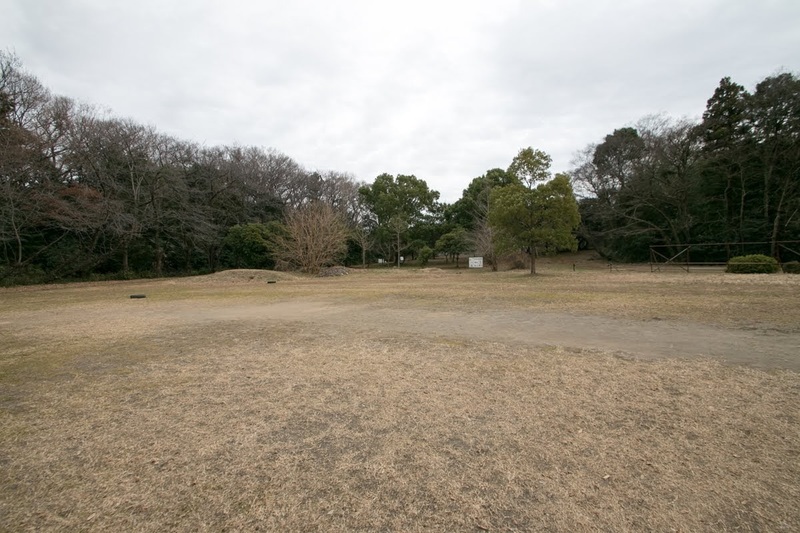 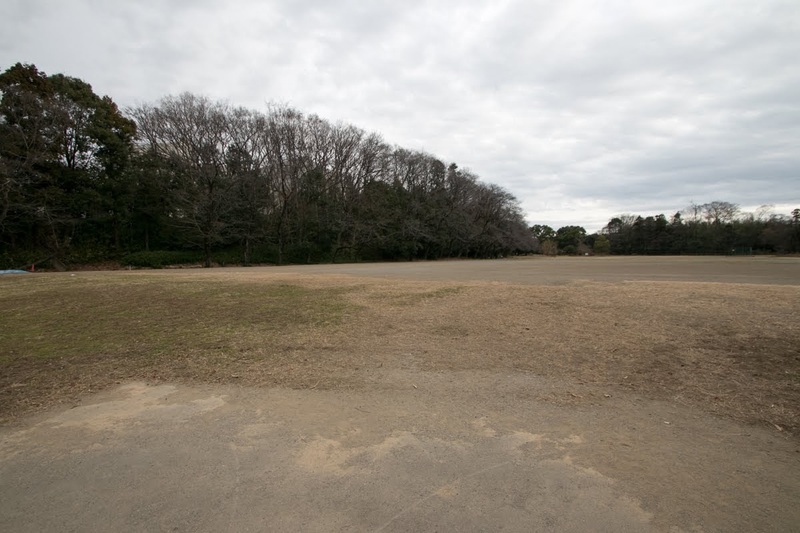 Total area of castle became 1 kilometer square, and the castle became one of the largest castles in Kanto region, and relatives of Hojo clan served as a commander of the castle. At the time of Odawara campaign, Iwatsuki castle was attacked Nagamasa Asano (1547-1611), an important retainer of Hideyoshi Toyotomi. 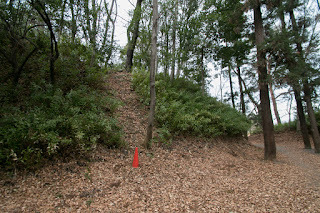 Due to the difference of soldiers, the castle fell in only a few days. 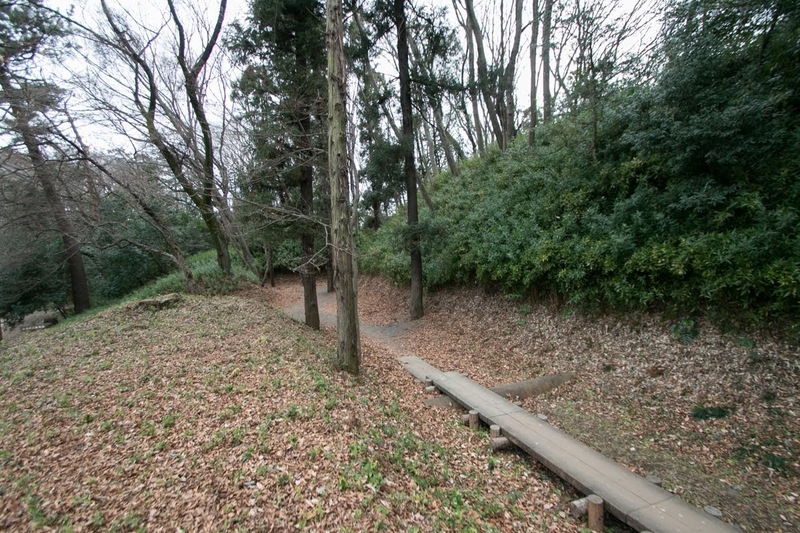 During Edo era, Iwatsuki castle was thought as an important castle directly defended Edo city, and hereditary retainers were appointed as a governor. 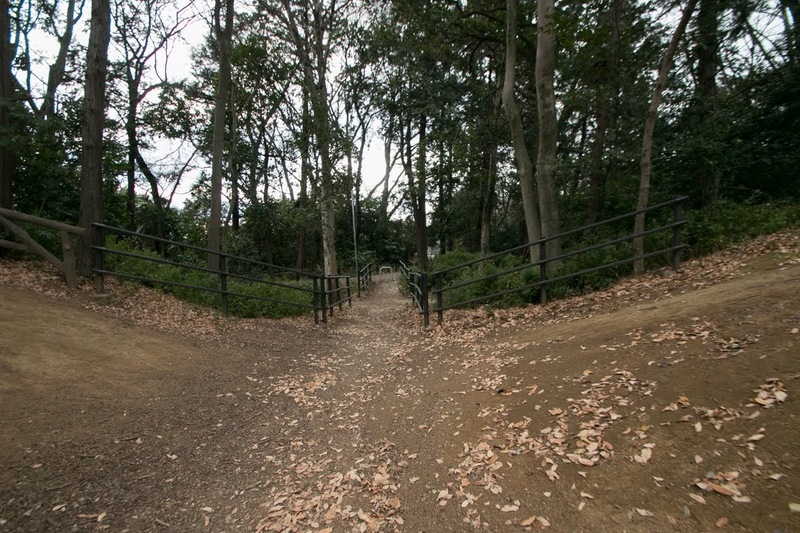 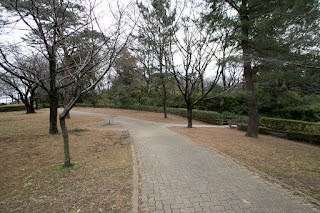 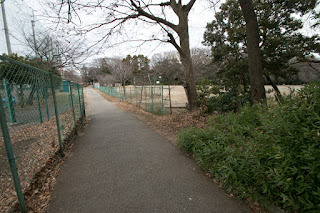 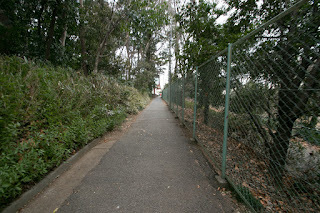 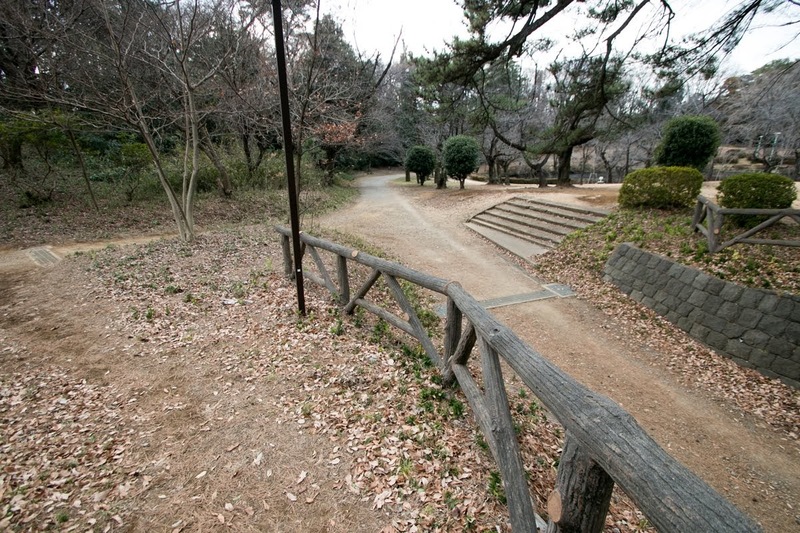 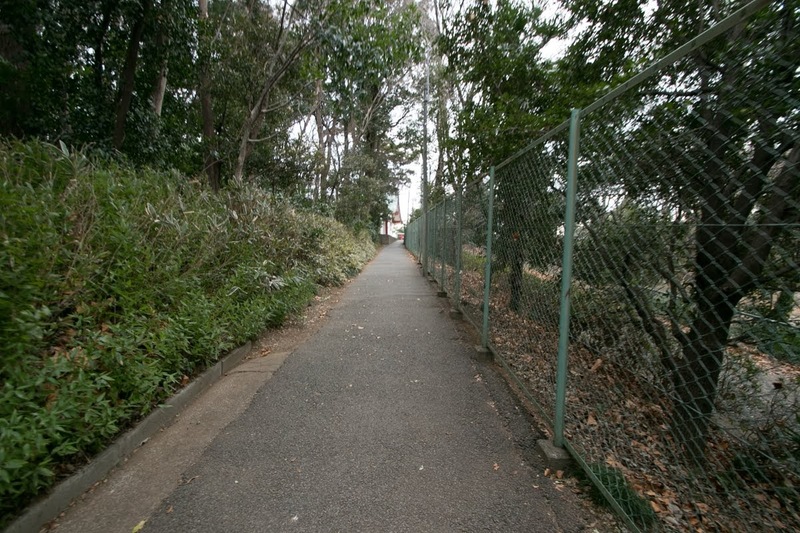 Subsequent to Meiji revolution, most of the buildings were broken but several gates remain until now, and two gates were moved to castle park. 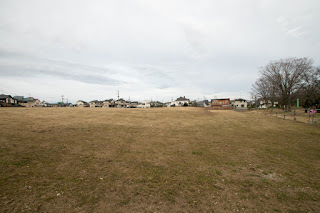 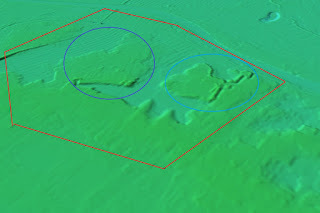 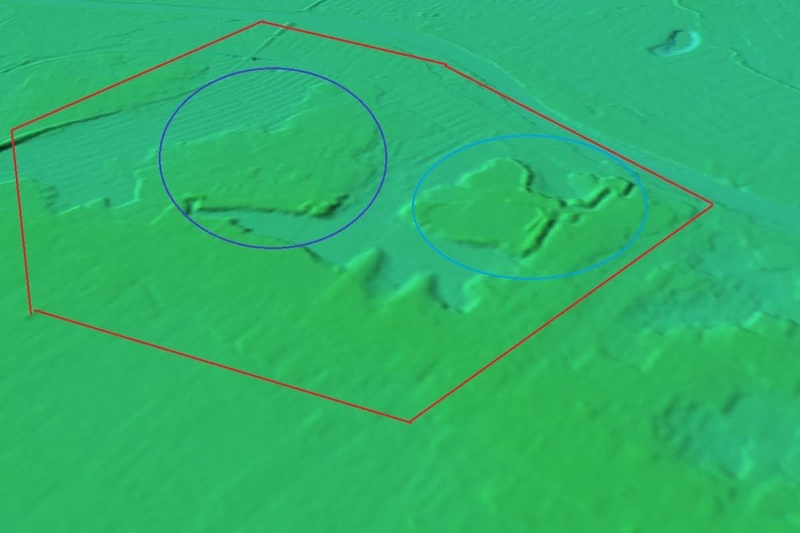 Due to land reclamation terrains of main areas totally disappeared, but we can imagine rough shape of the central areas surrounded by marsh using height topography map around the location. 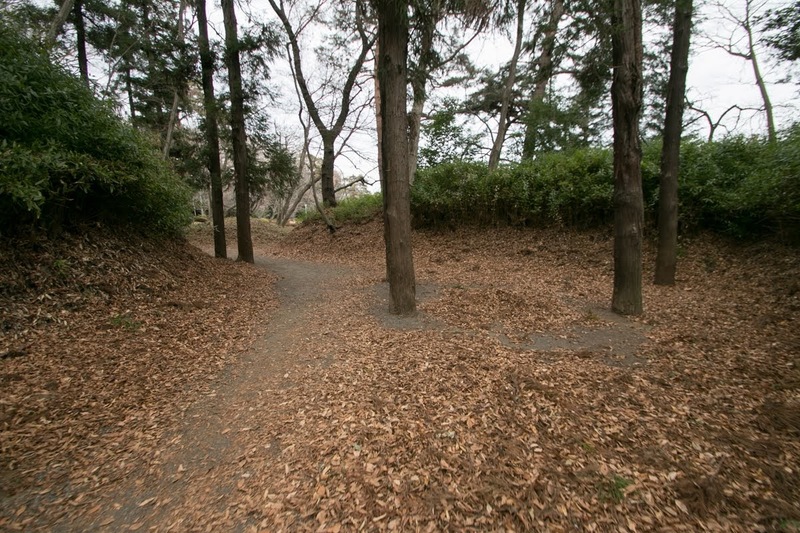 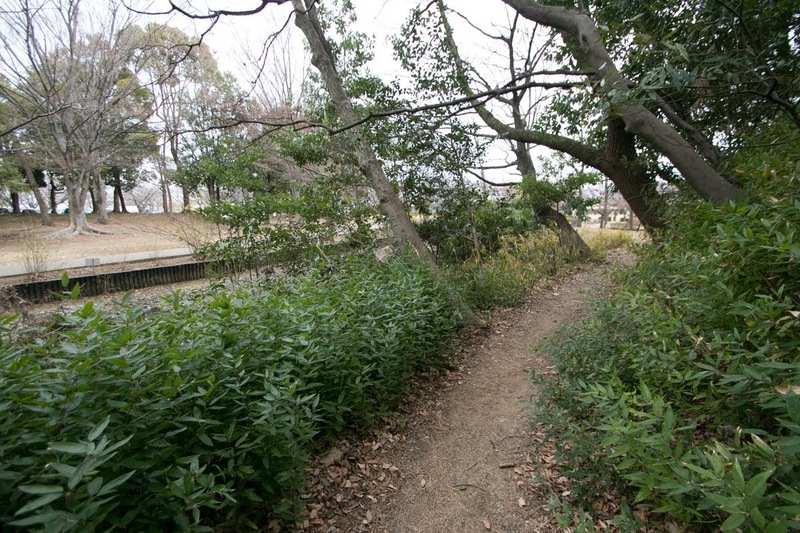 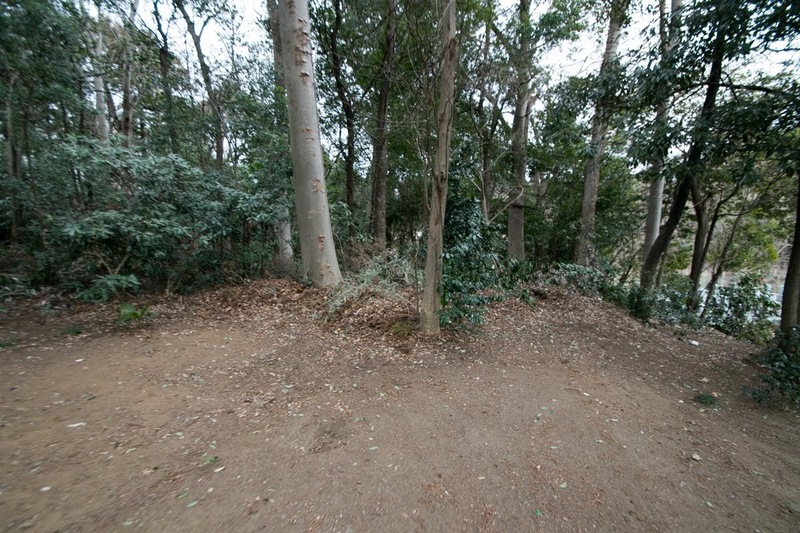 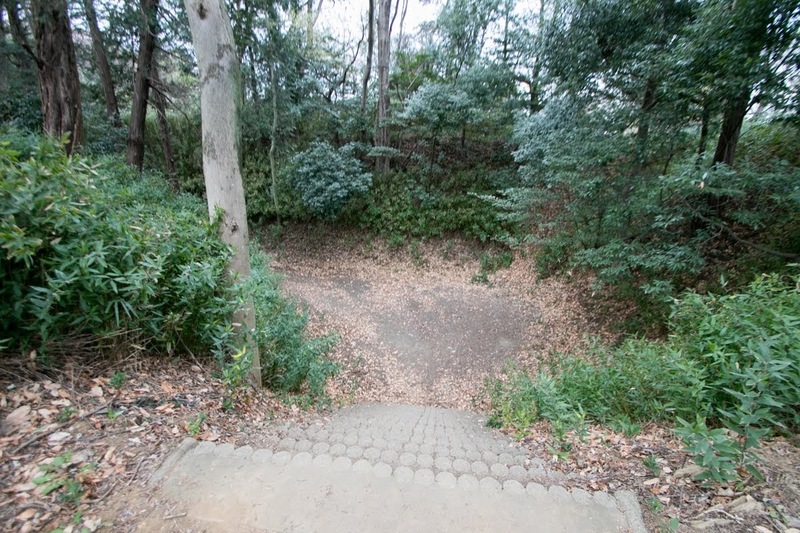 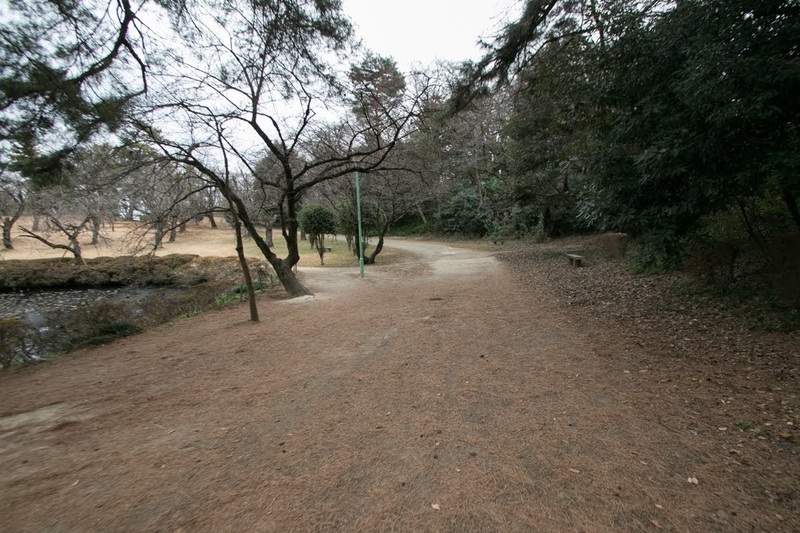 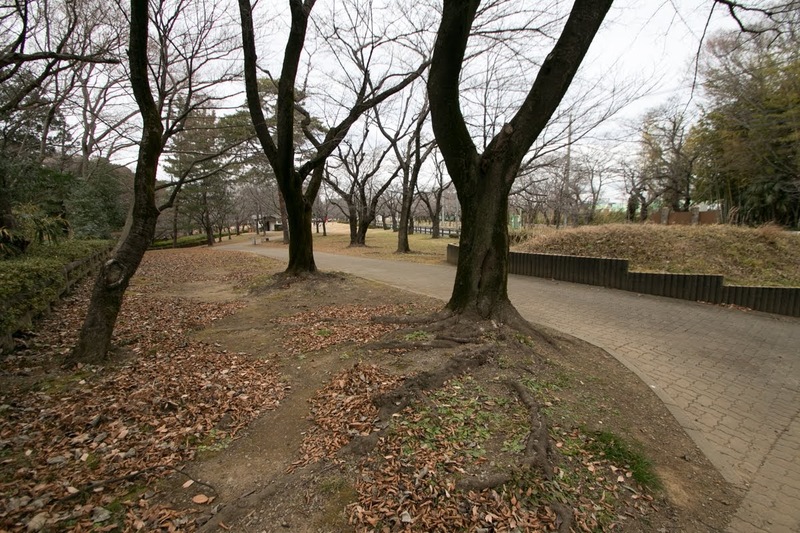 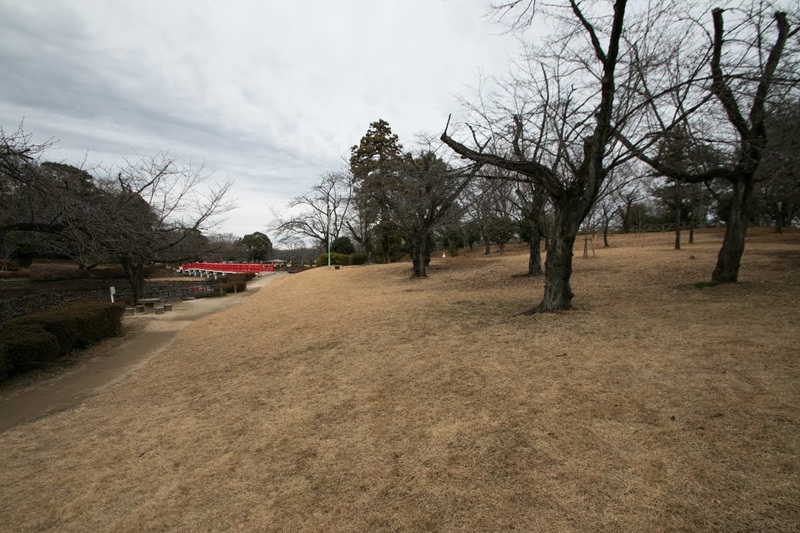 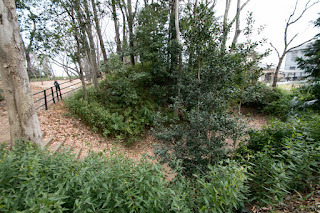 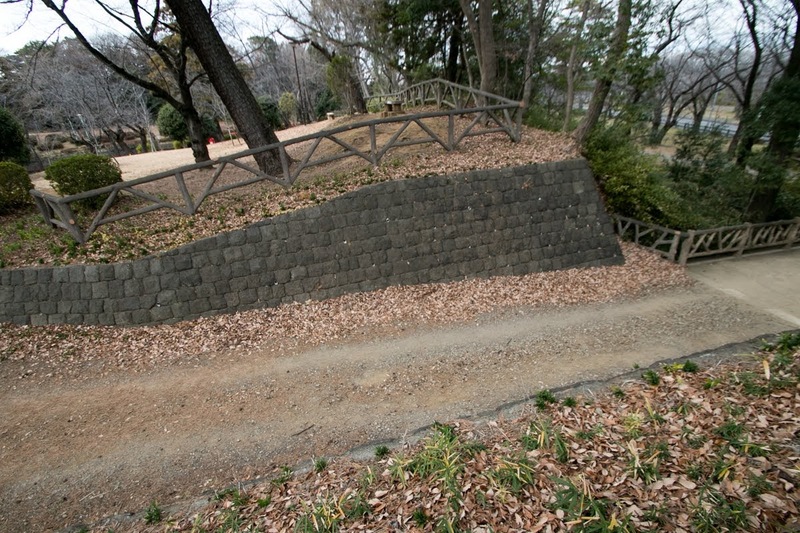 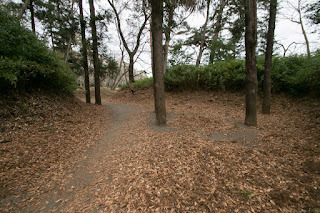 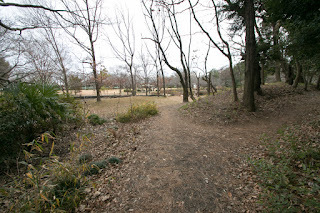 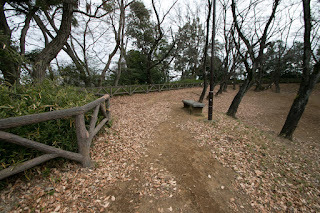 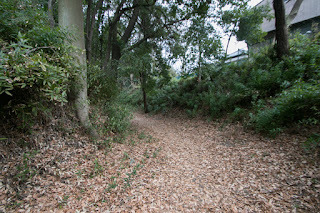 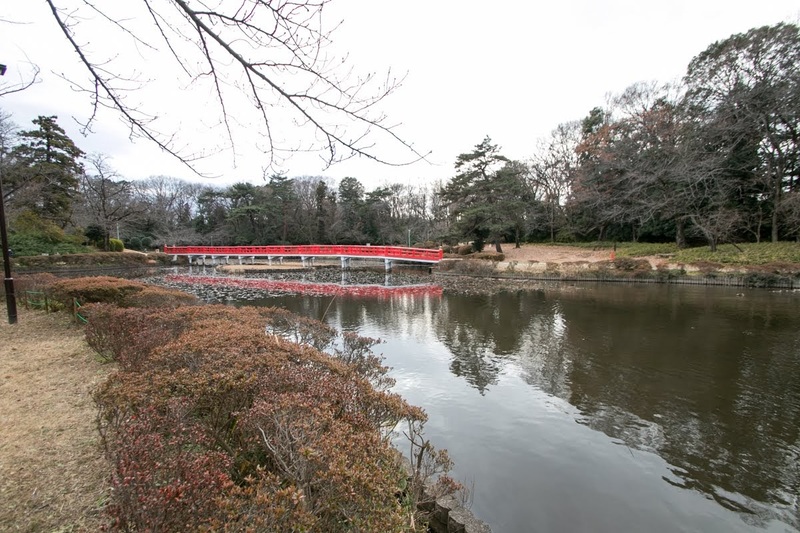 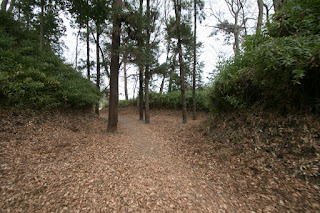 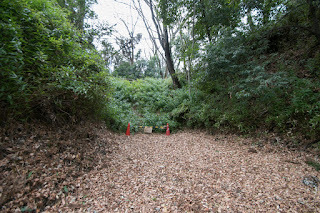 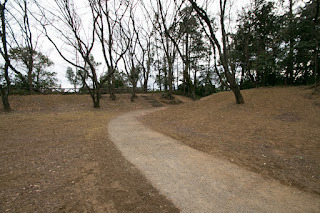 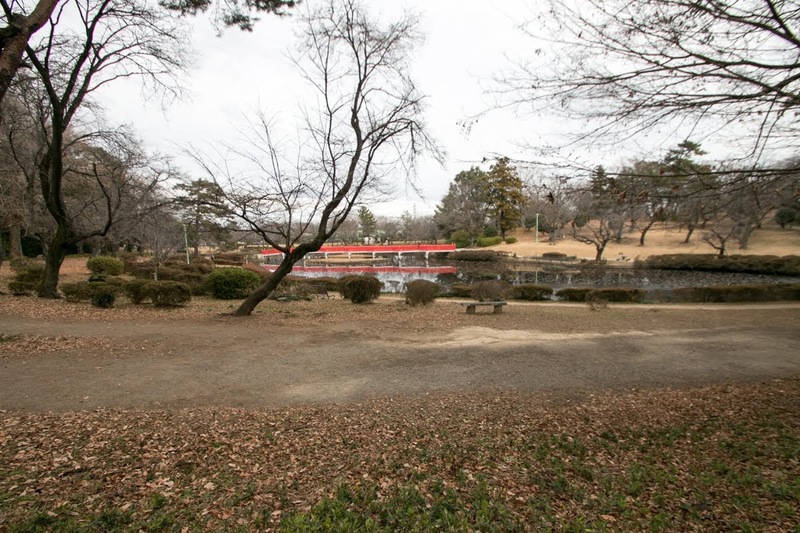 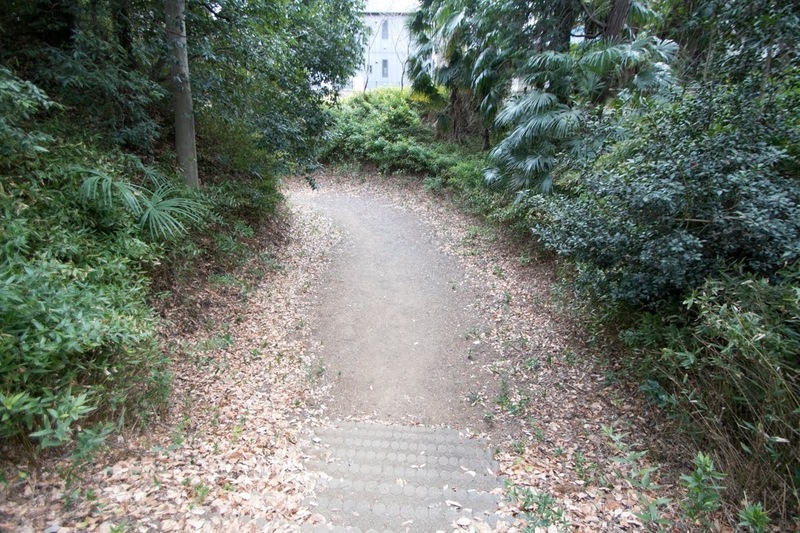 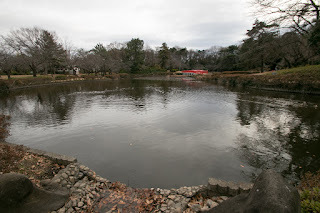 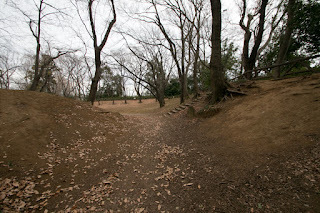 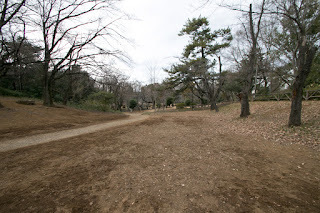 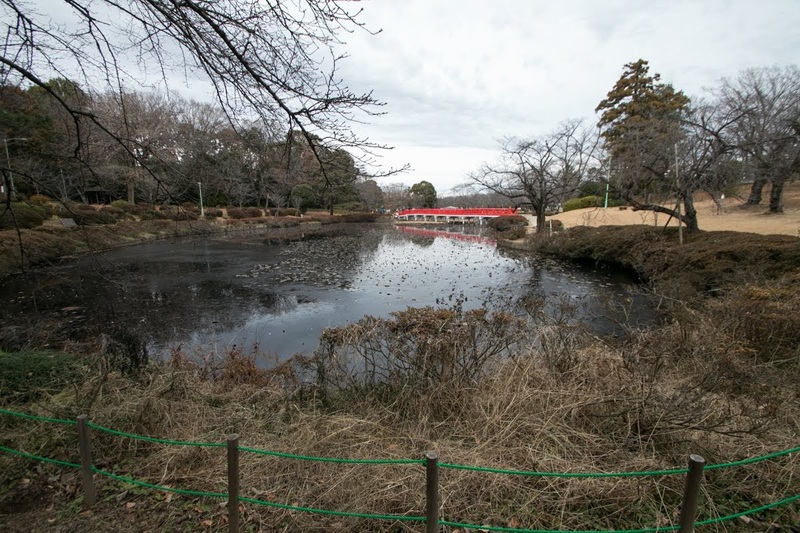 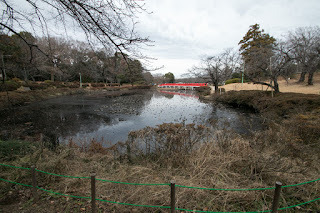 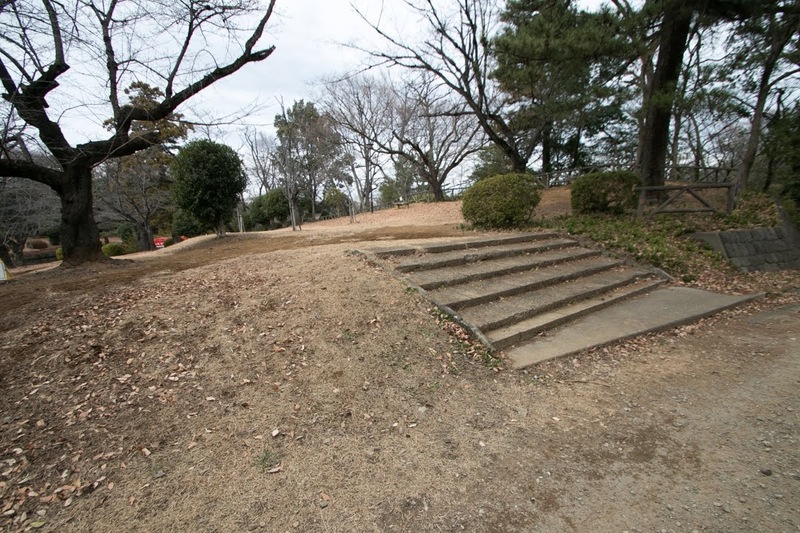 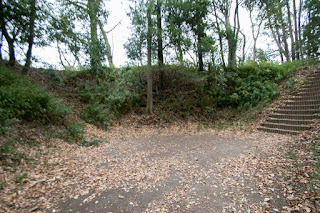 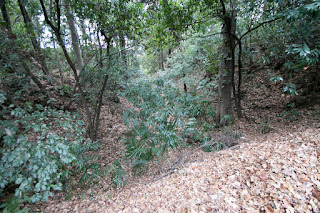 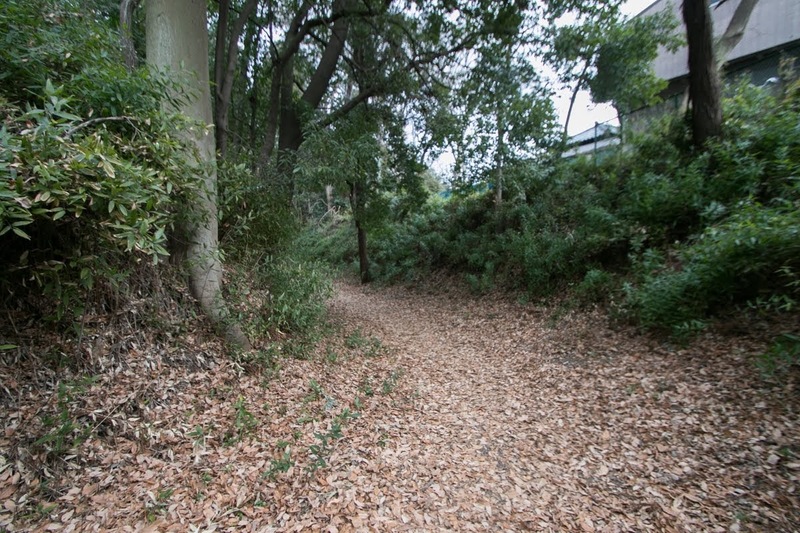 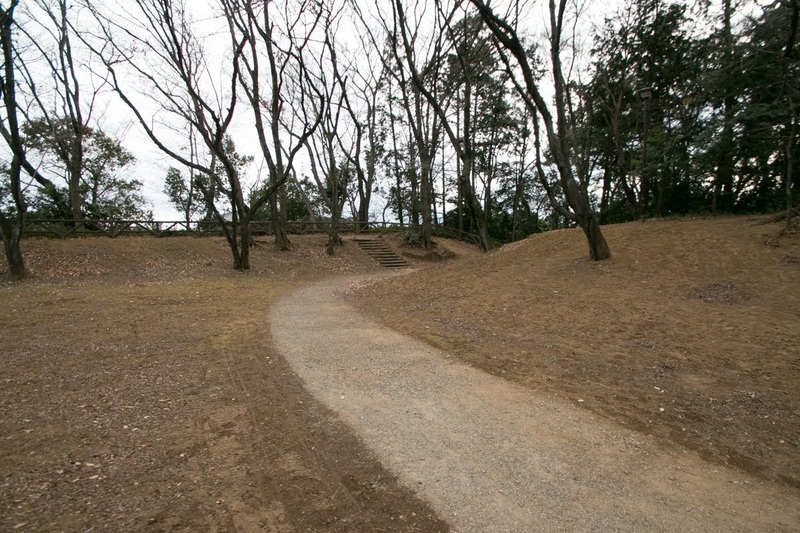 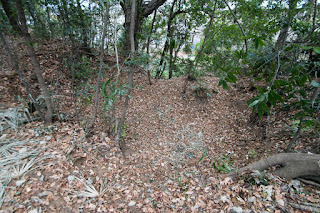 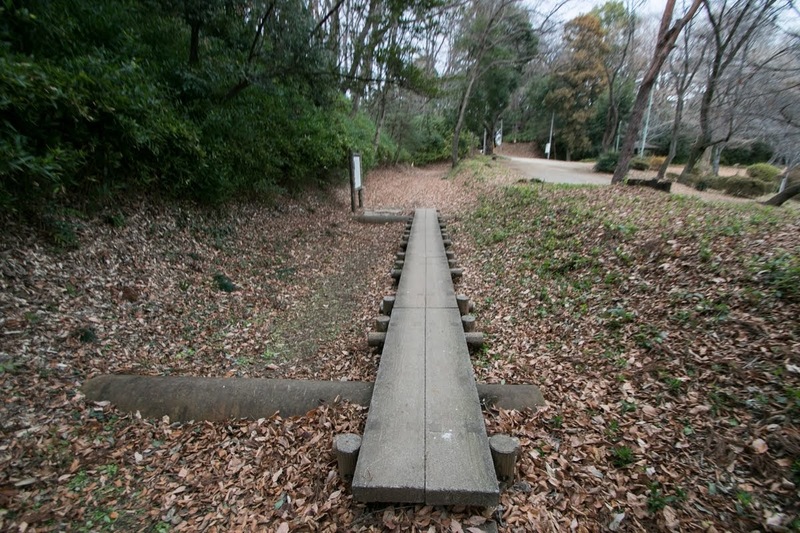 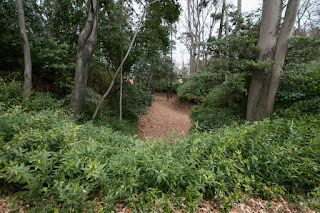 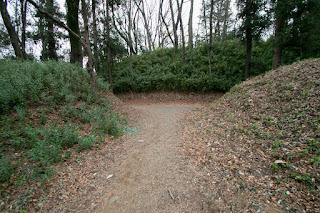 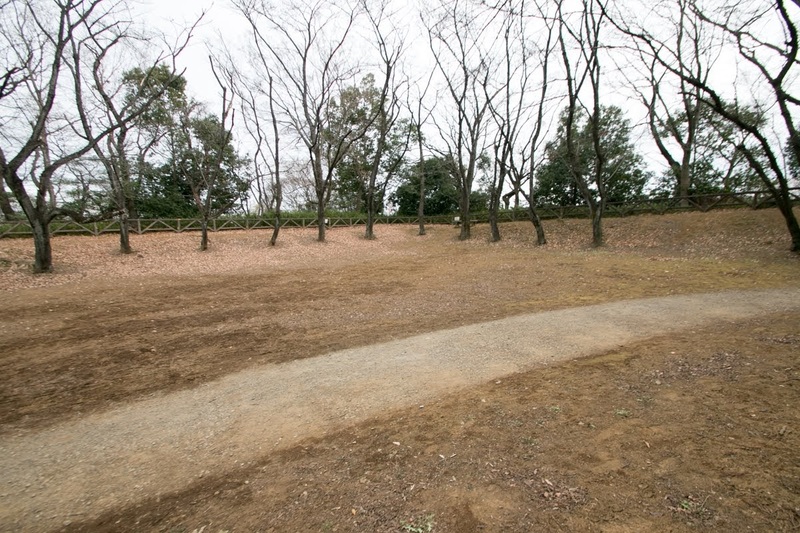 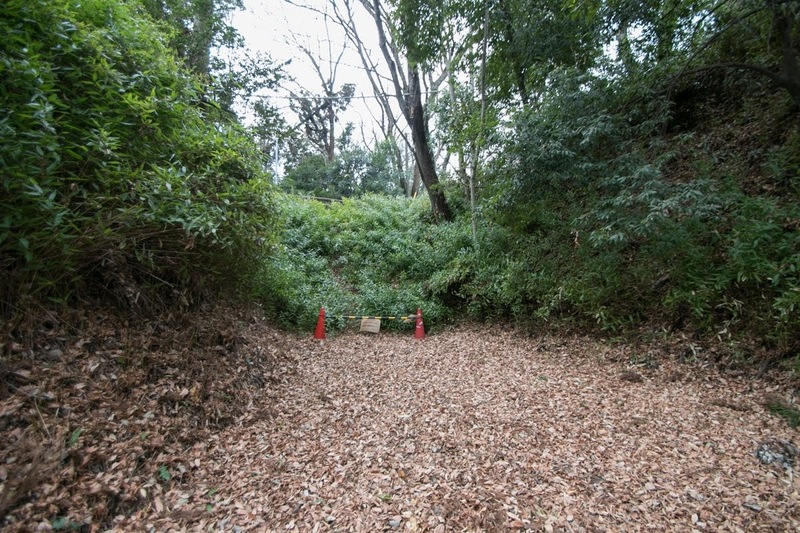 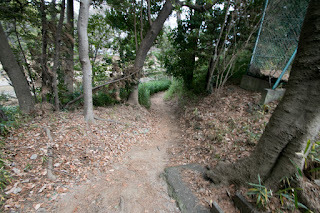 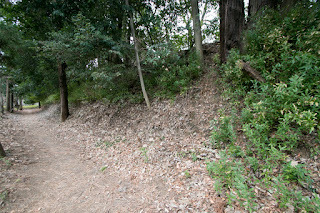 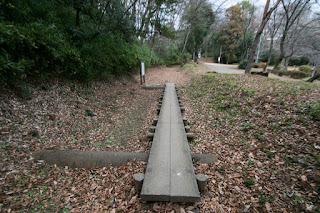 Impressive sand walls and water moats of outer area partially exist and used as a Iwatsuki castle park, along with gates they were valuable remnants that convey old shape of castle until now in the developed area.